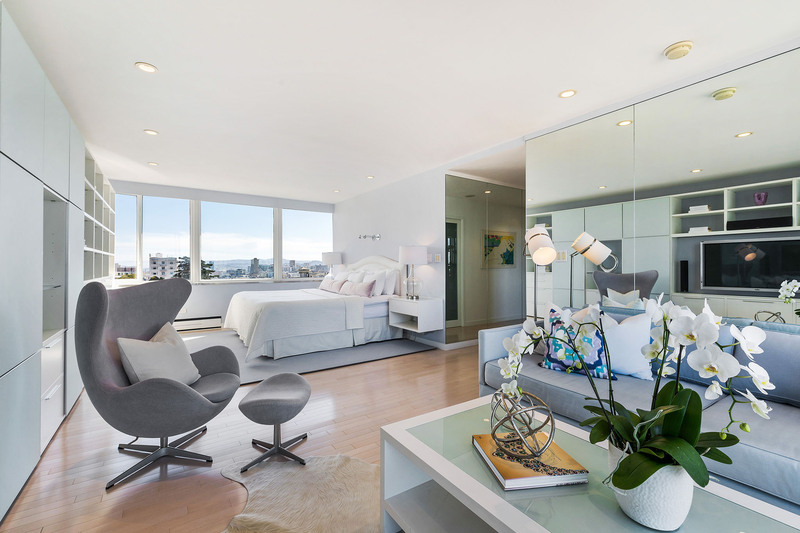 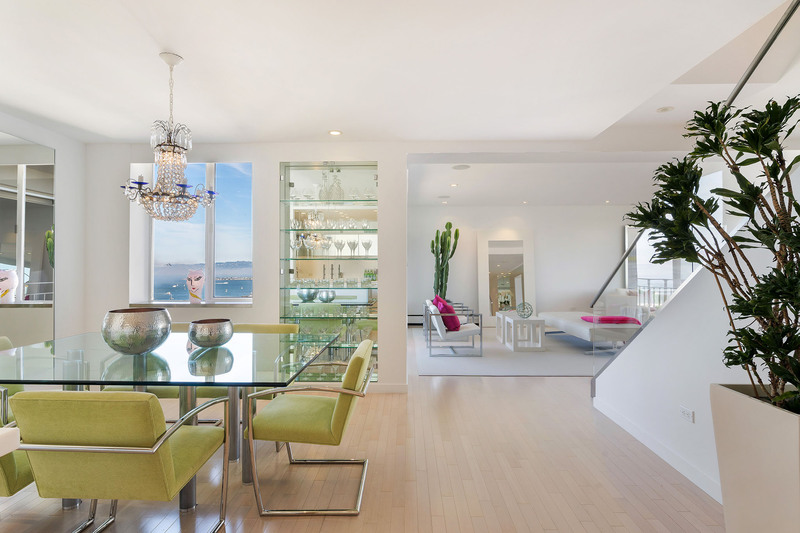 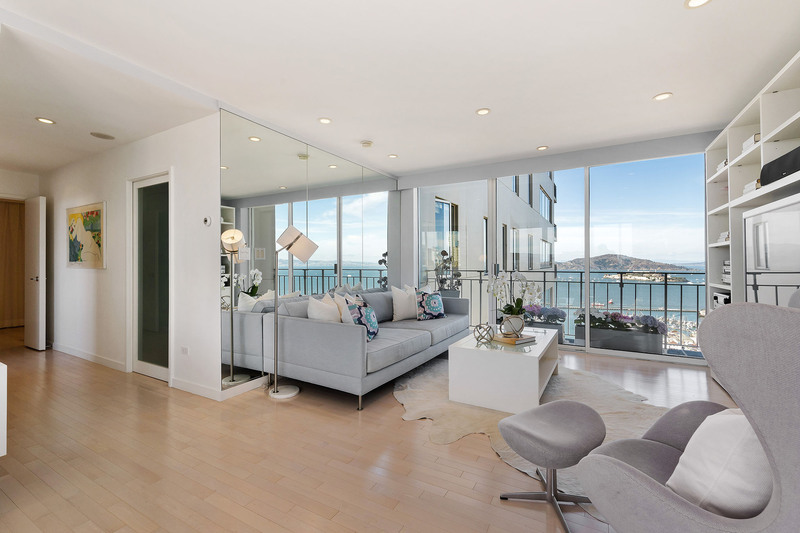 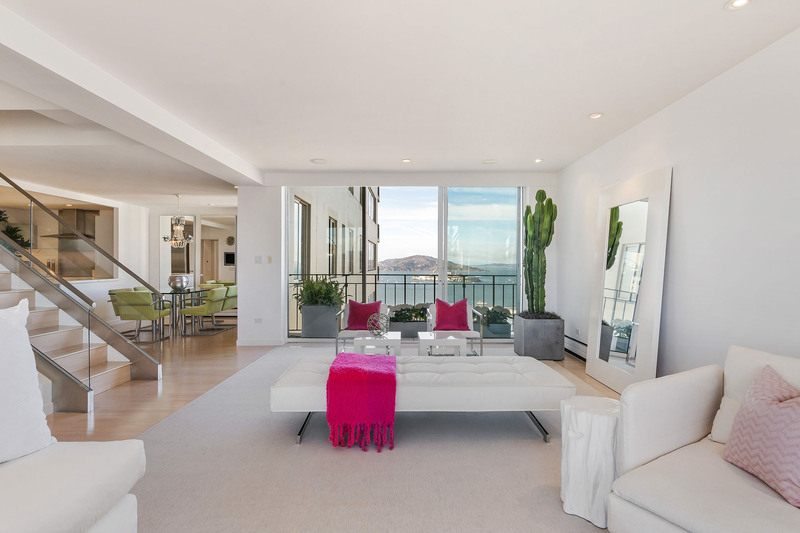 Luxury living awaits at this stunning co-operative residence, located on one of the most prestigious blocks atop Russian Hill. 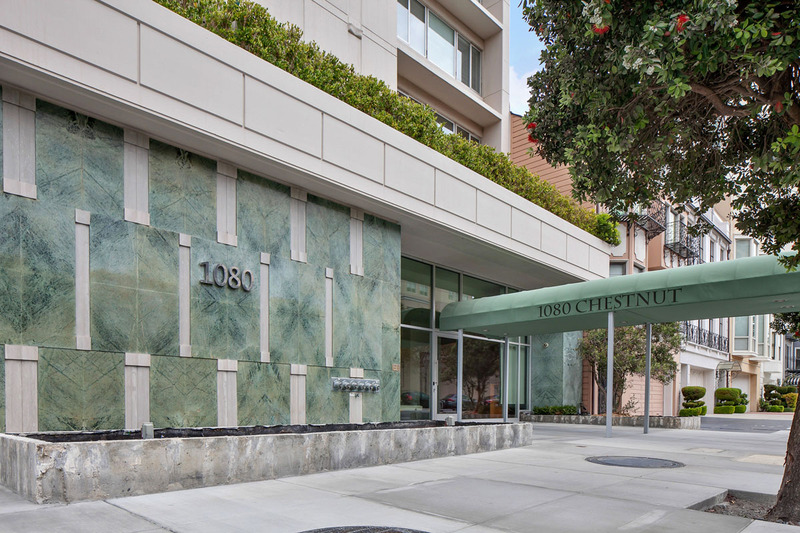 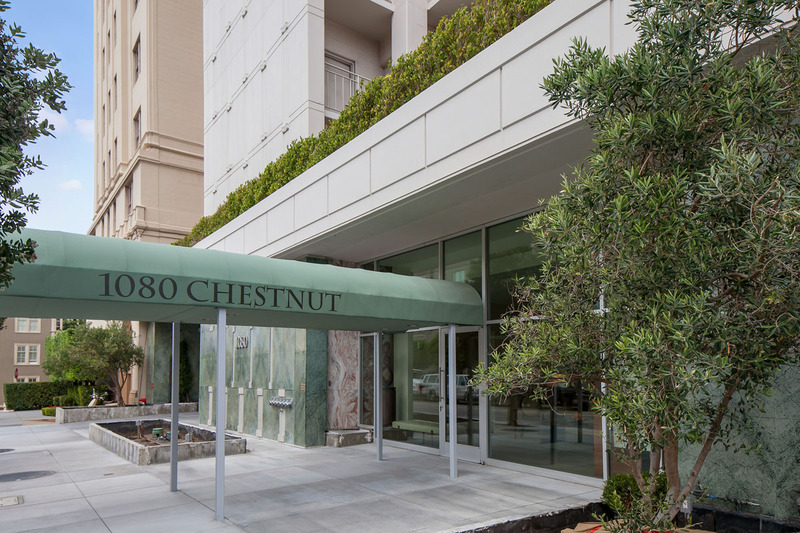 This very special two-level home at 1080 Chestnut is gracious San Francisco living at its finest. 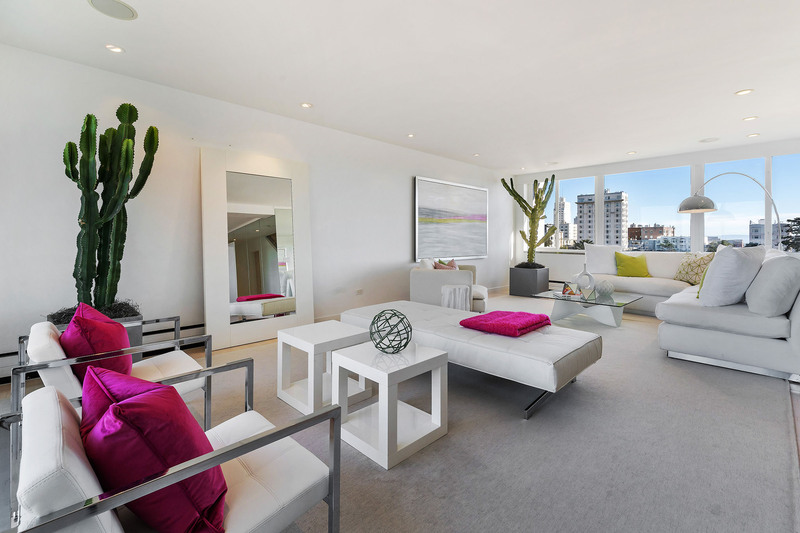 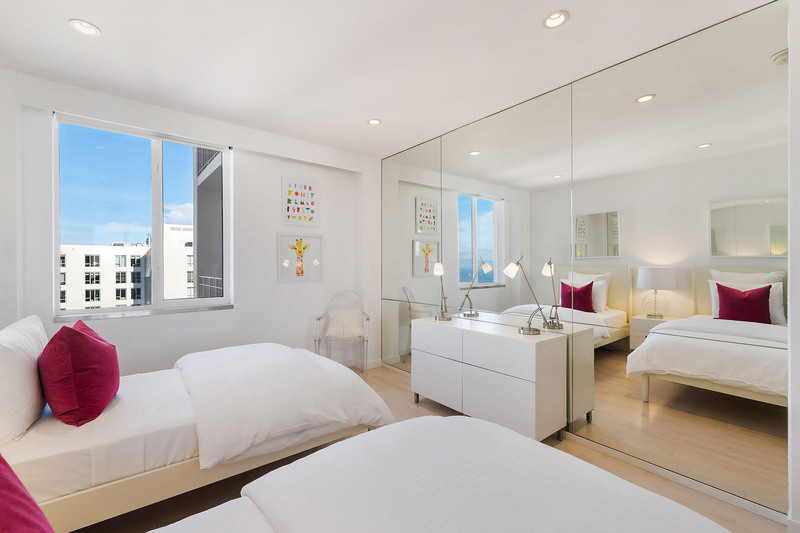 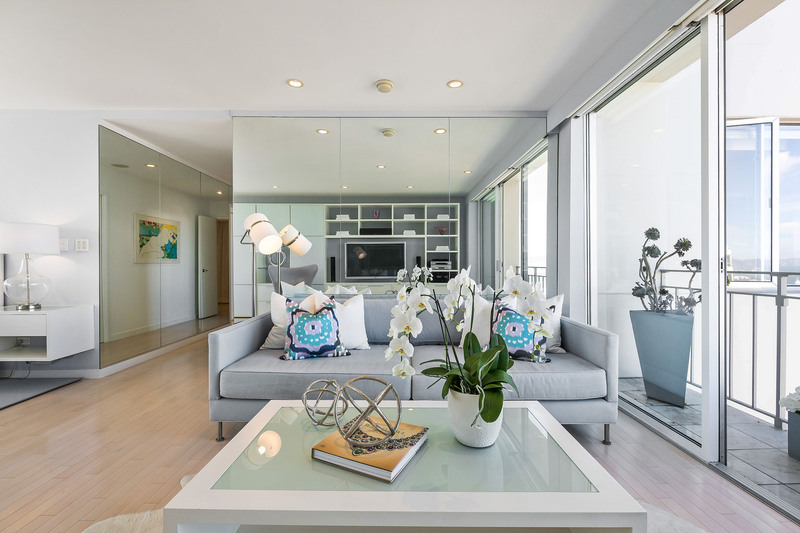 Upon entering Apartment 11B, one is instantly drawn into this sleek and fabulously designed home; pops of color and bright light greet you with a “WOW!”. 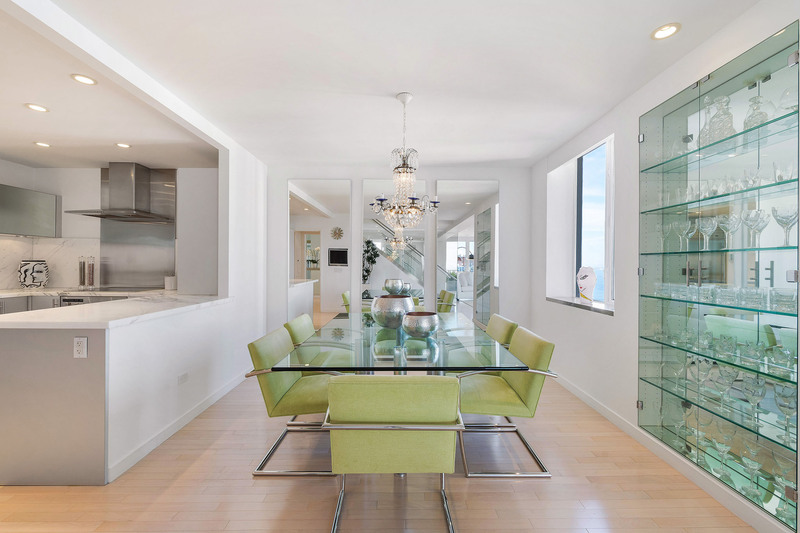 The living room, dining room and kitchen are all open, but create very distinct spaces; perfect for entertaining and everyday living. 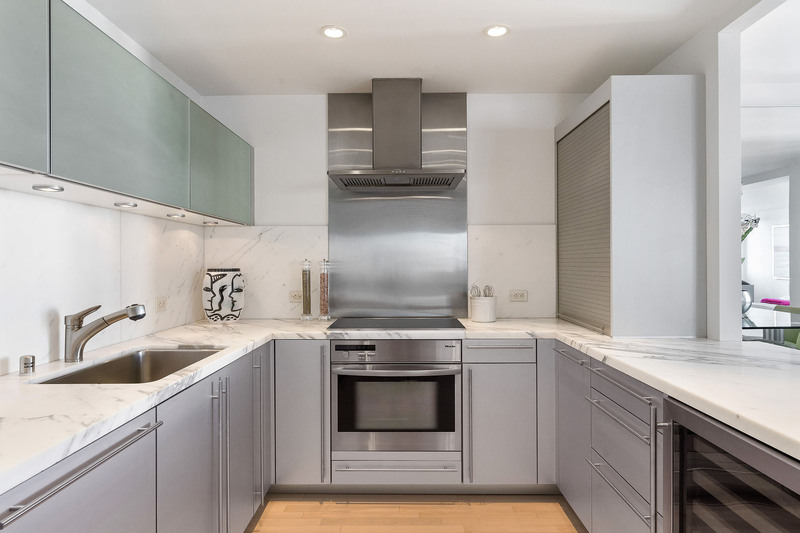 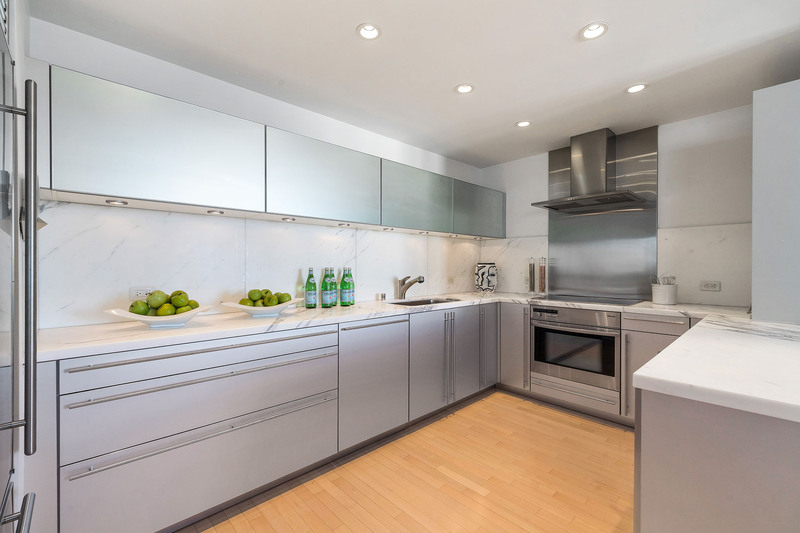 The kitchen features beautiful marble countertops, Sub Zero refrigerator, Miele oven, Miele stove top, Gaggenau dishwasher and Marvel wine refrigerator. 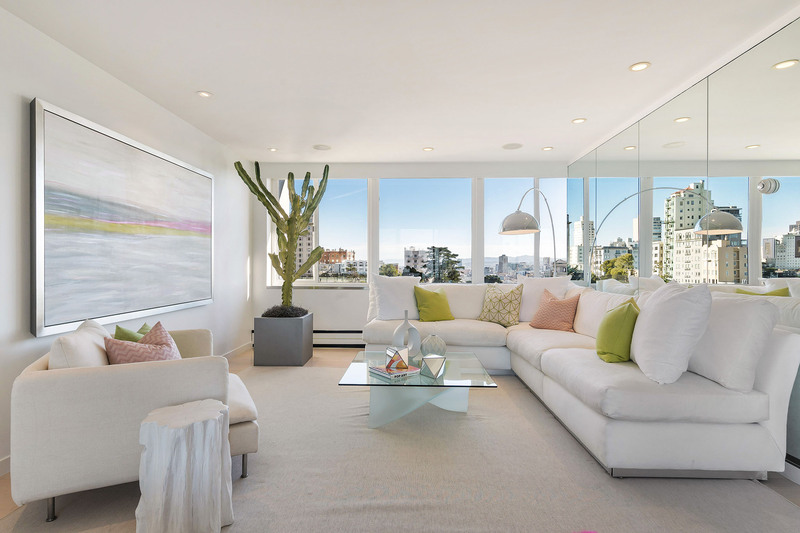 White walls showcase the colorful and custom-designed furniture and artwork. 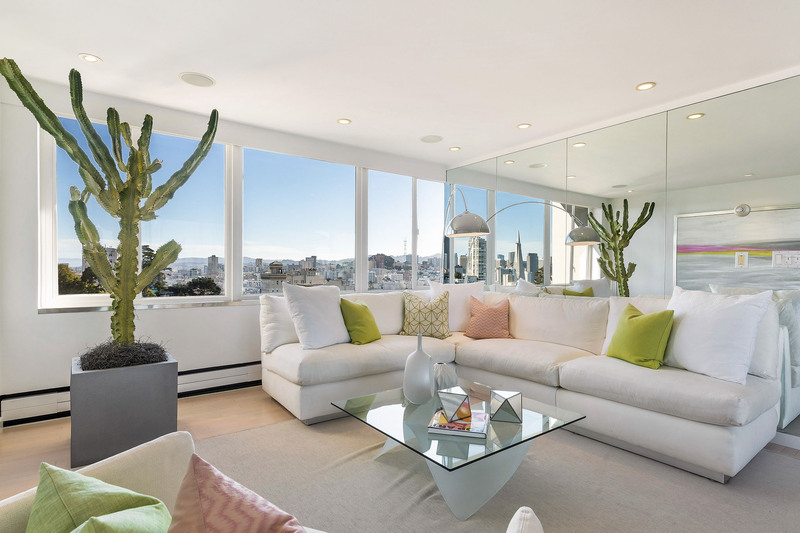 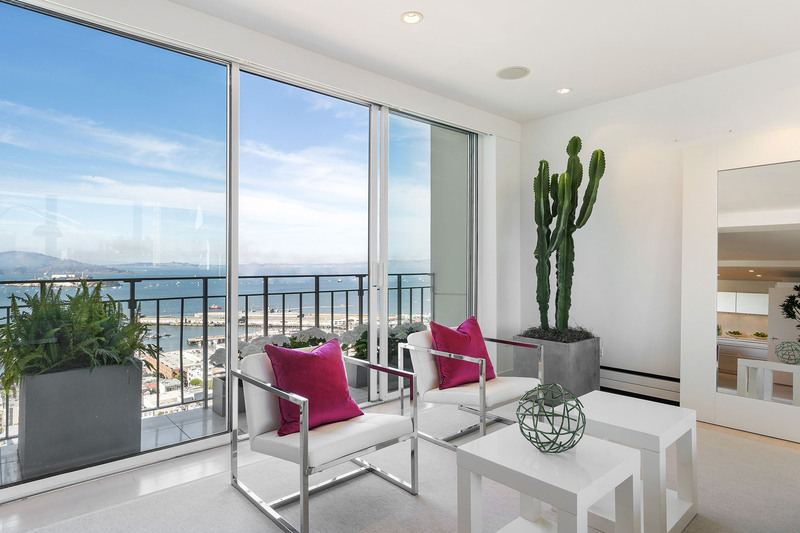 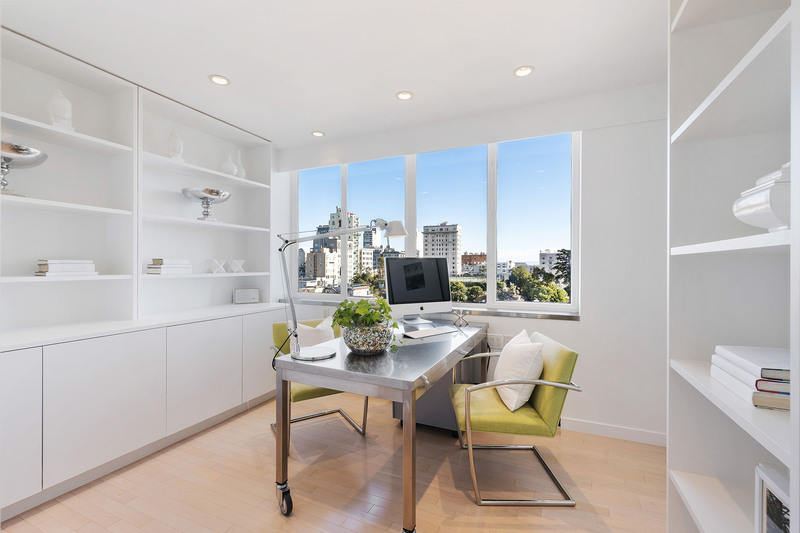 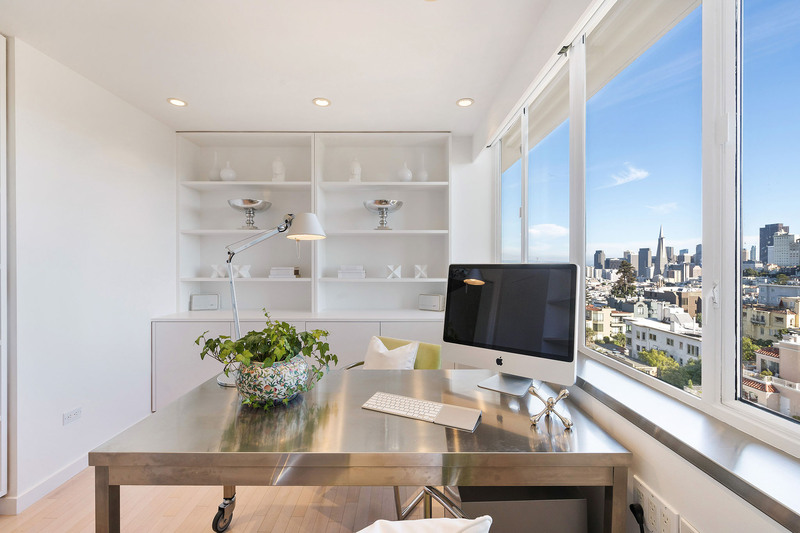 A welcoming and large living room features windows to both the South and North (with a balcony), which bath the room with natural light and showcase Iconic views including San Francisco Bay, Angel Island, Alcatraz, Transamerica Tower, Coit Tower, Bay Bridge, Salesforce Tower, Twin Peaks, and stunning Cityscapes.Completing this level: an office (which could also be used as a den or bedroom), and boasts Iconic views and much natural light, a fanciful powder room and coat closet. 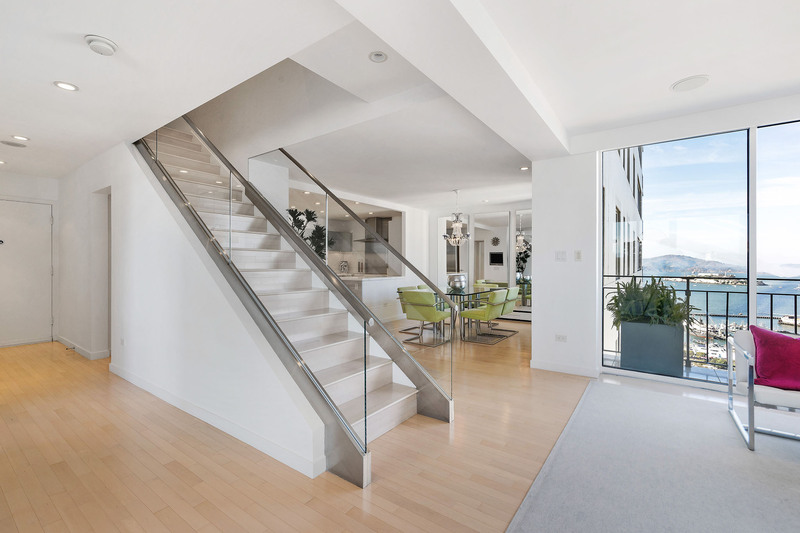 Ascend the stairs with its architectural glass and metal railing and you arrive at the second level, which has a stunning and large master suite and a second en suite bedroom. 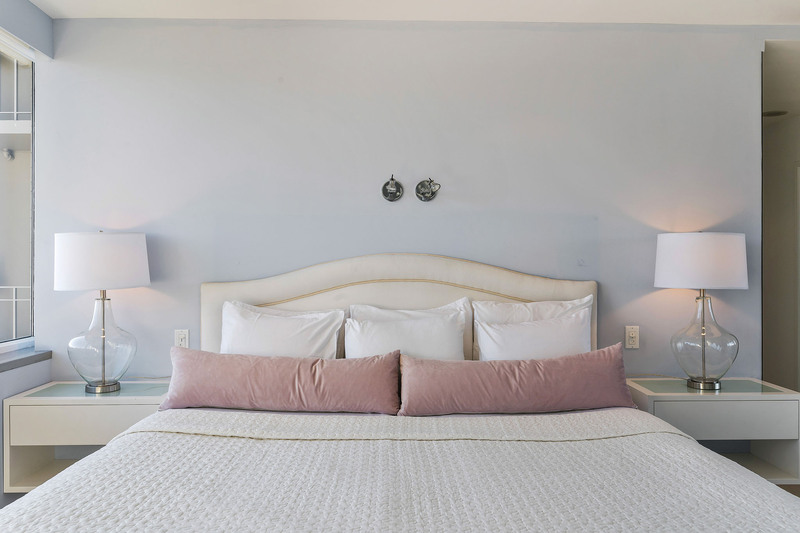 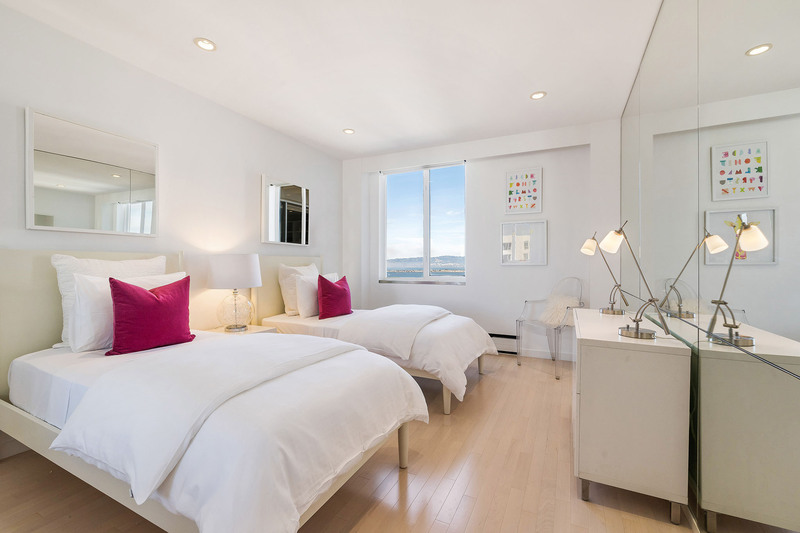 The master suite is restful and calming; functional and comfortable. 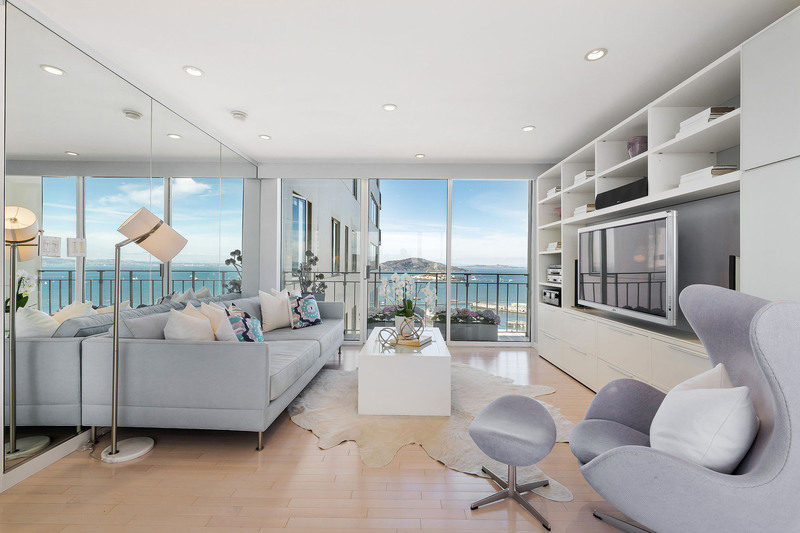 There is a large sitting area with built-in shelves and TV, big views from the sliding glass door to the North (which includes a balcony), and South facing windows by the bed that include fantastic views as well. 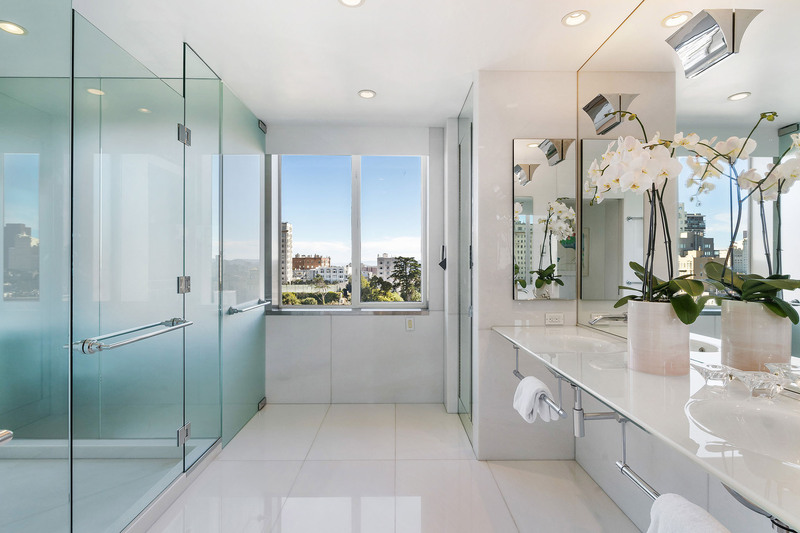 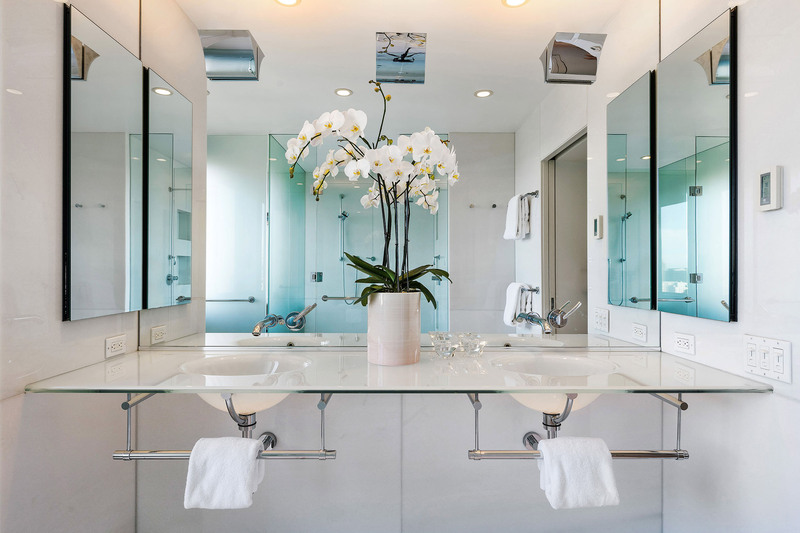 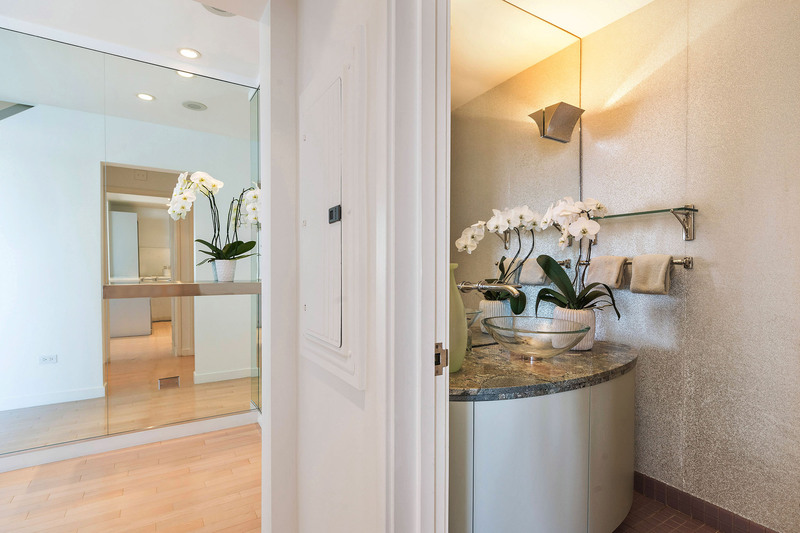 The mirrored master bath is sleek and large, and includes: double sinks, a walk in shower, a separate water closet (with stainless toilet), many towel bars, two medicine cabinets, as well as an additional cabinet and fantastic natural light and views. 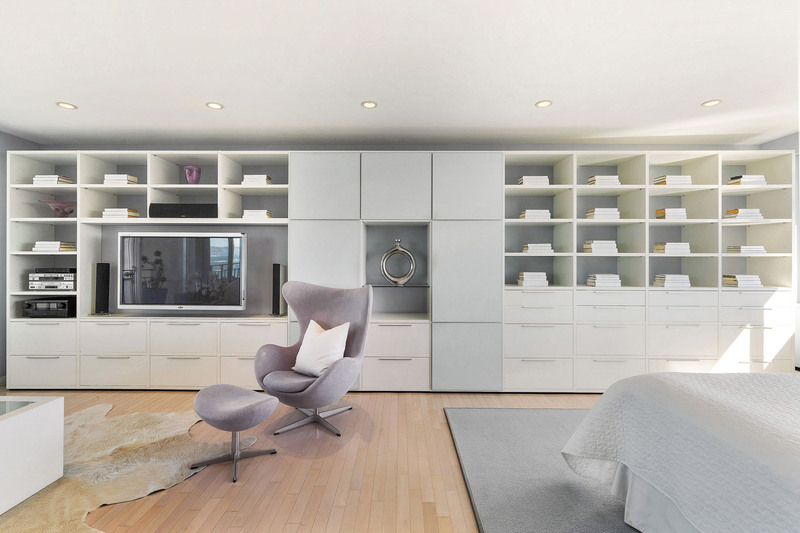 Completing the master suite is a large and well-appointed walk-in closet. 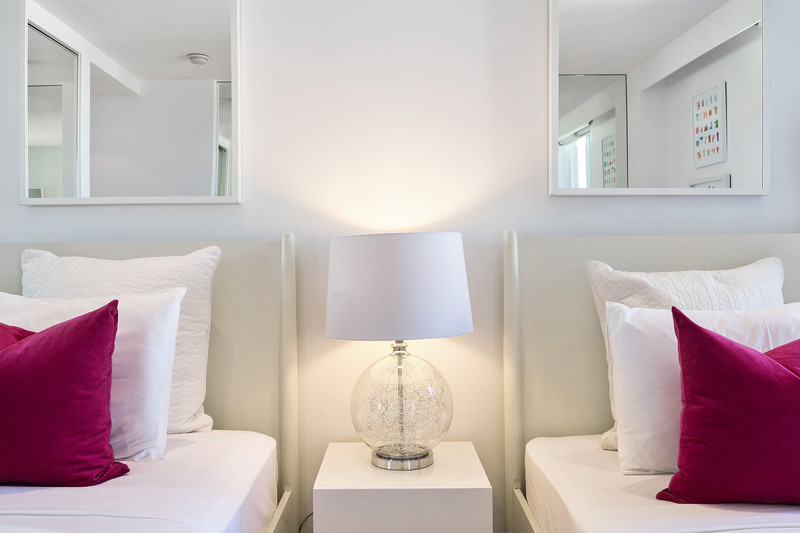 The second en suite bedroom with lovely outlooks and natural light plus a laundry closet with a washer, dryer and shelfing for storage round out this upper level. 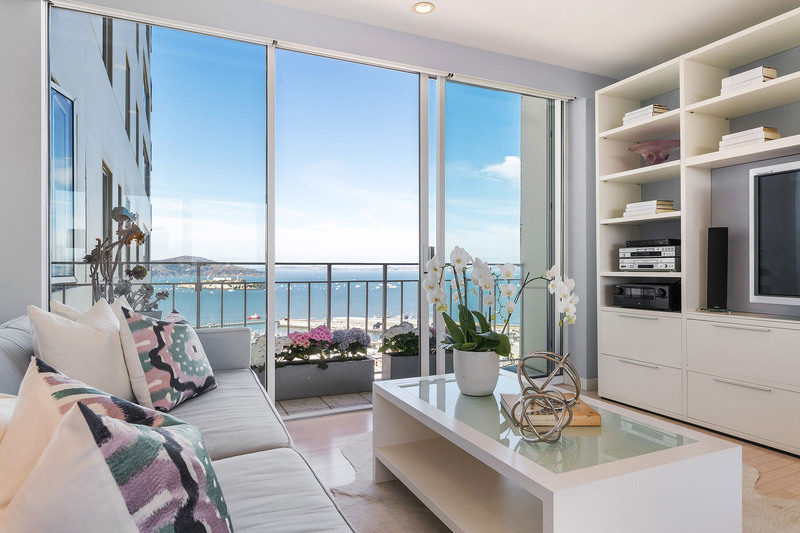 At this refined community you will find wonderful and welcoming doormen, an on site manager, two car parking and two storage areas. 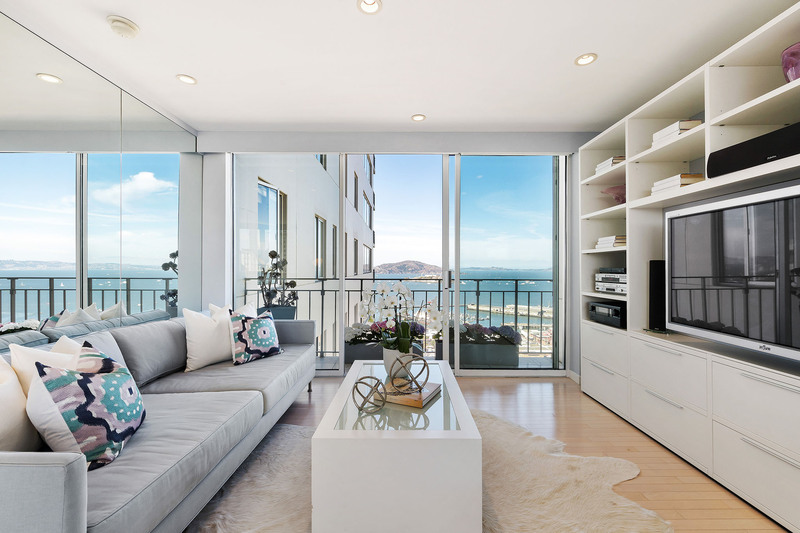 This special apartment has it all! 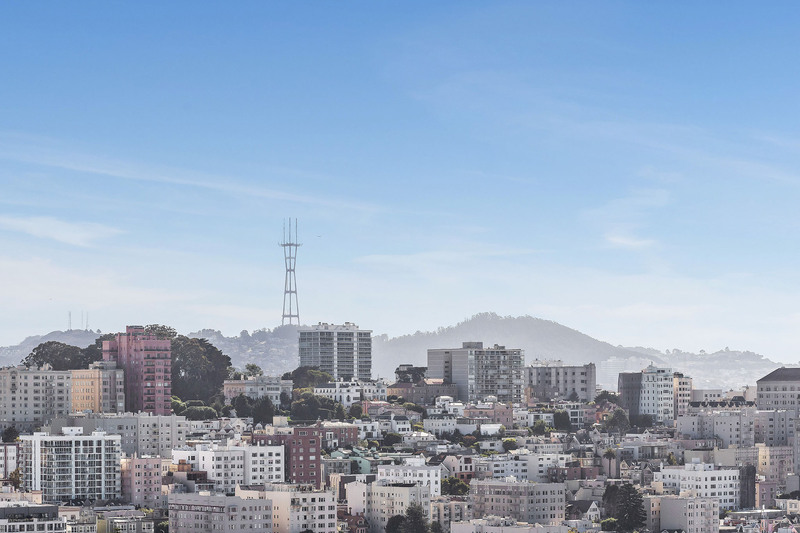 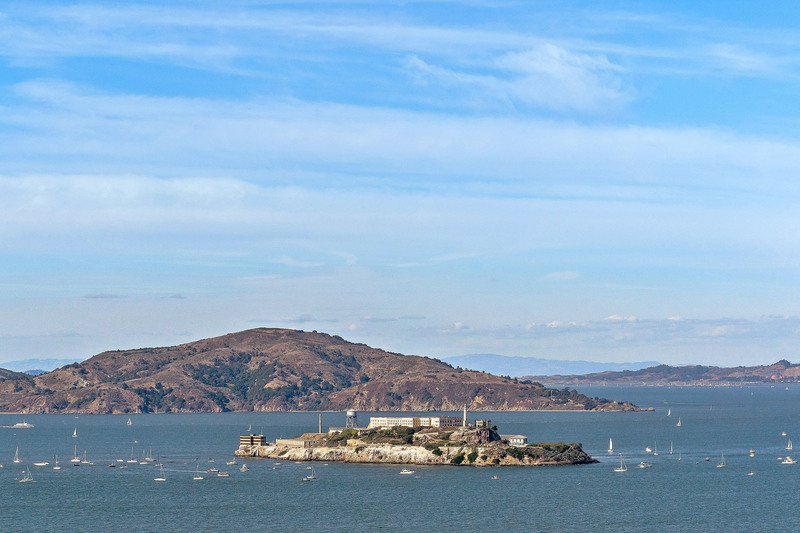 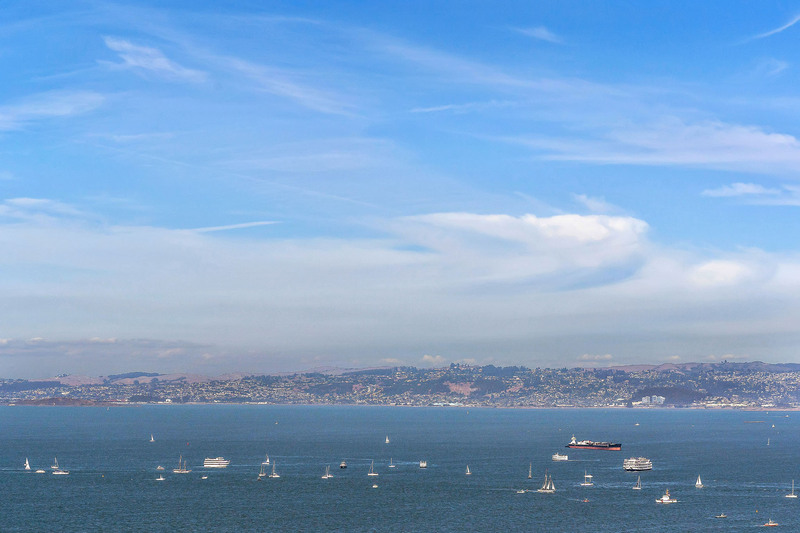 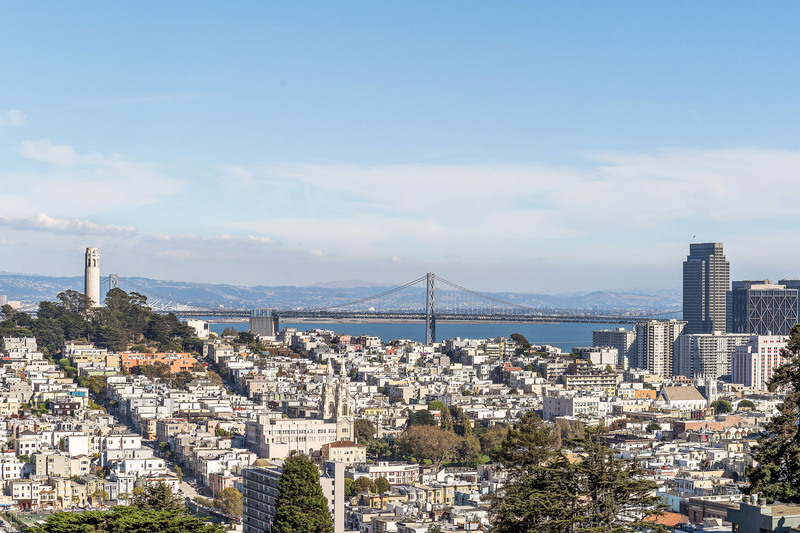 There's hardly a neighborhood that compares with Russian Hill, with its mesmerizing views, heart-stopping hairpin turns, and sheer historical grandeur. 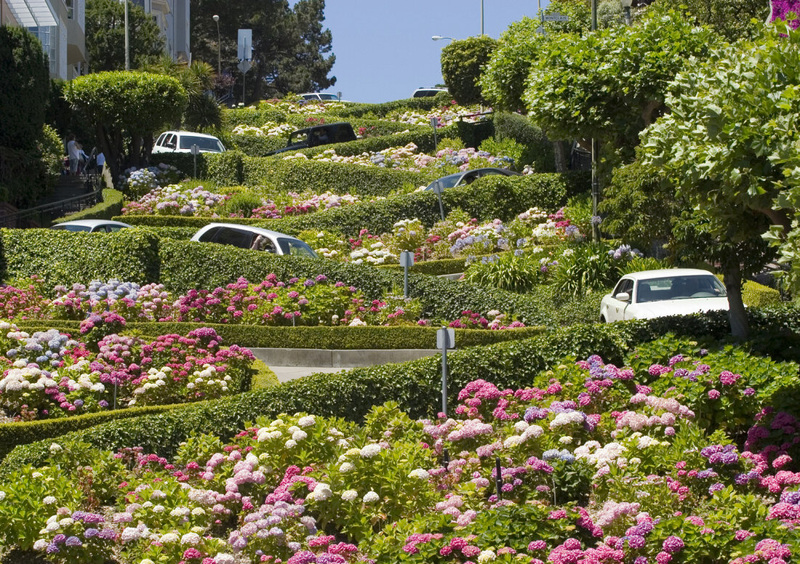 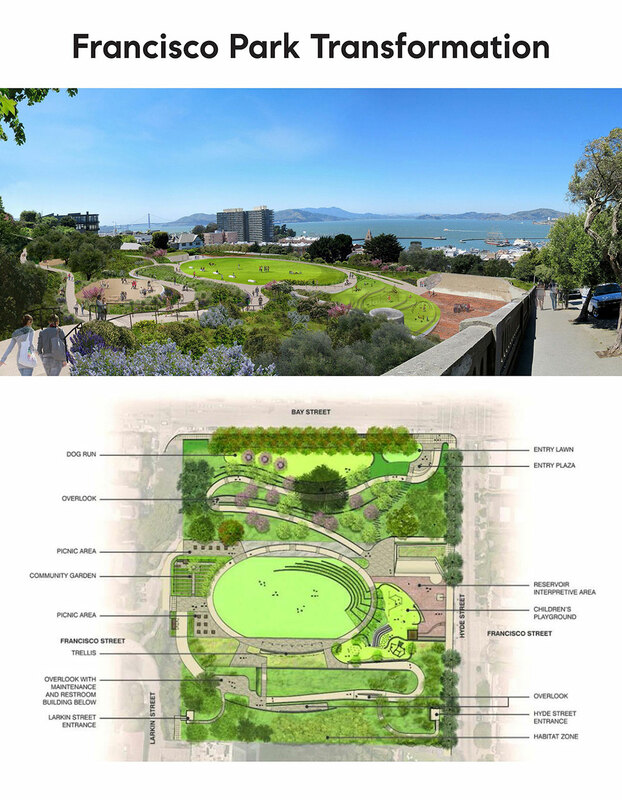 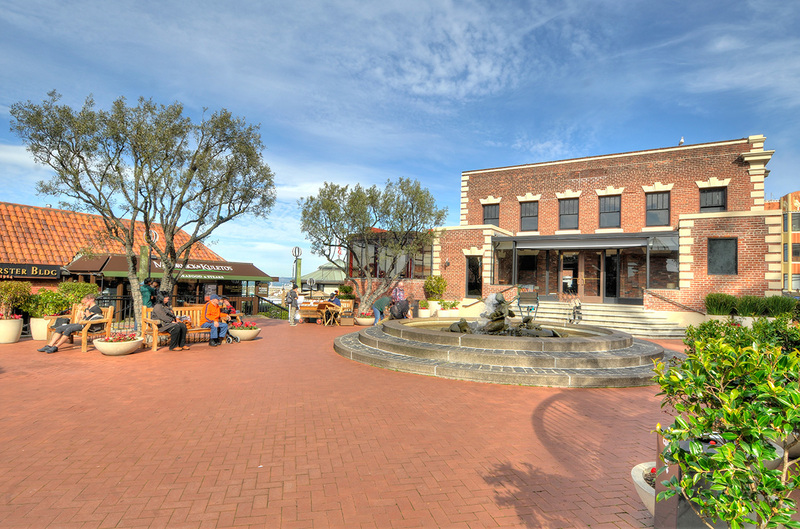 Locals enjoy the hillside garden climbs, the exquisite tiny parks, and the classic ice cream parlor found at the corner of Union and Hyde. 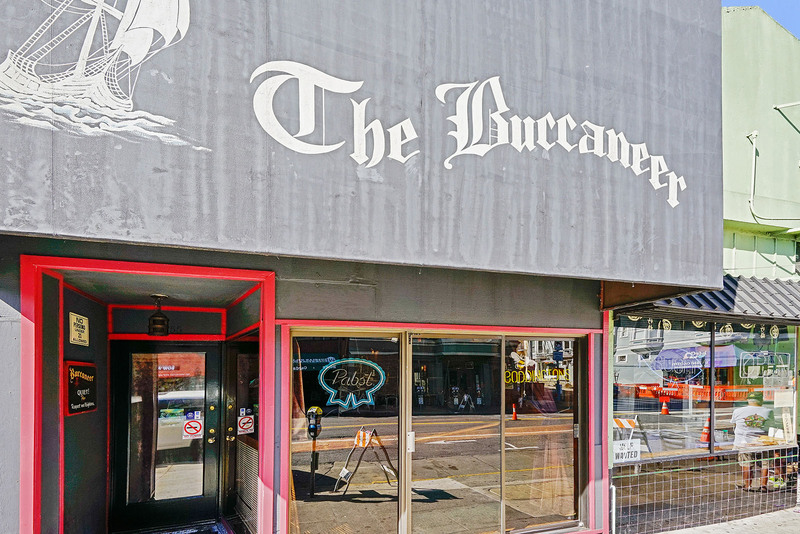 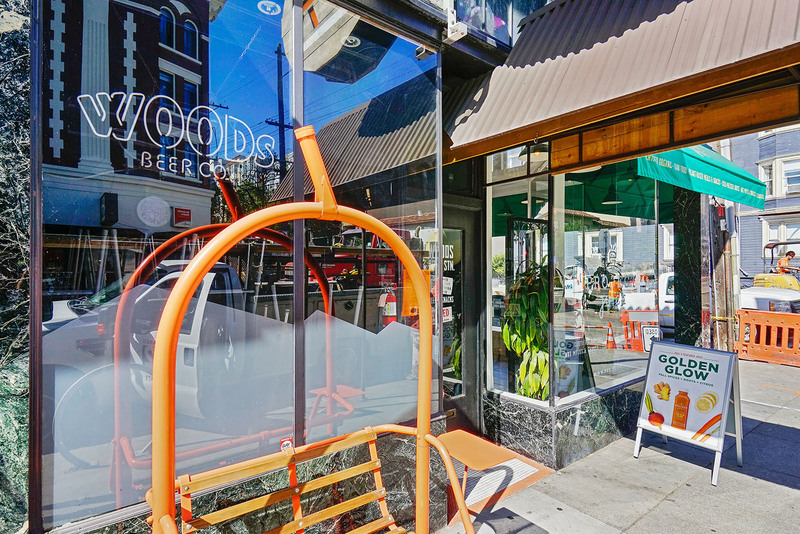 There is a delicate European flair to many of the boutiques and restaurants found along the lushly green streets of Jackson, Union, and Hyde. 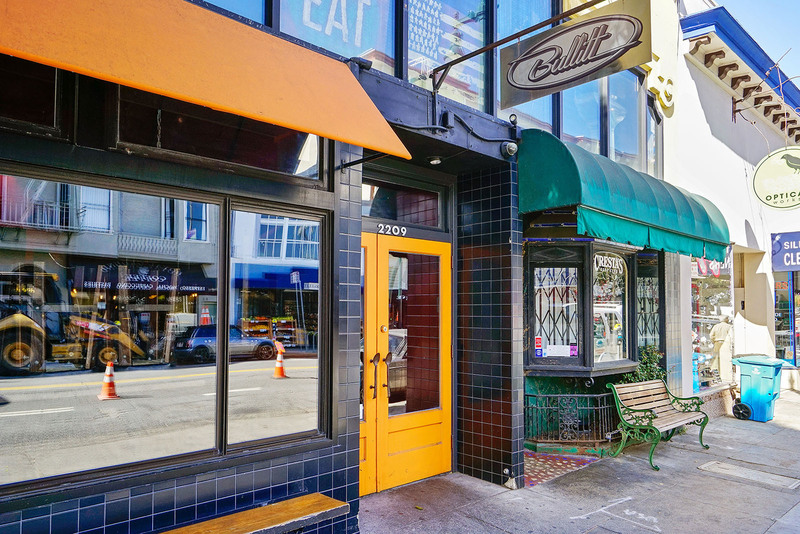 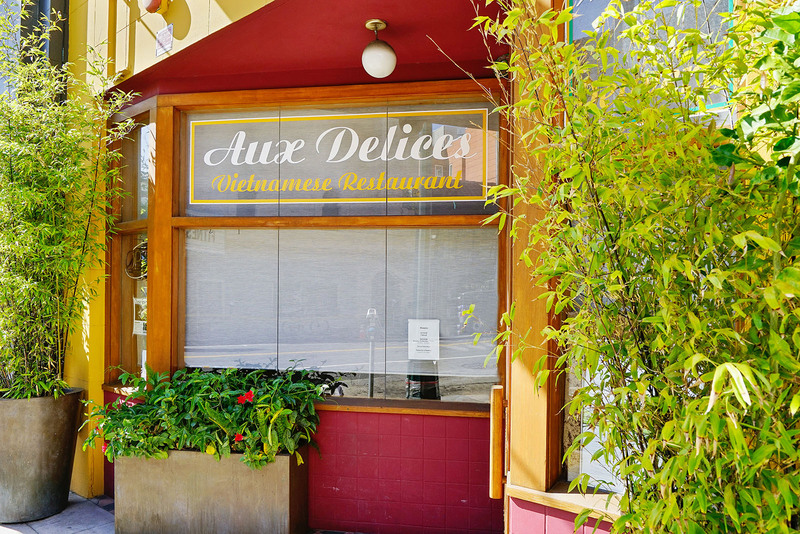 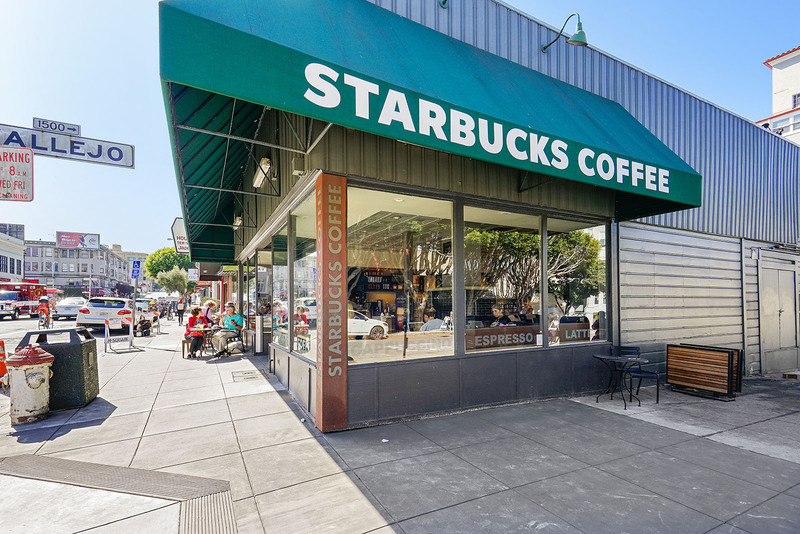 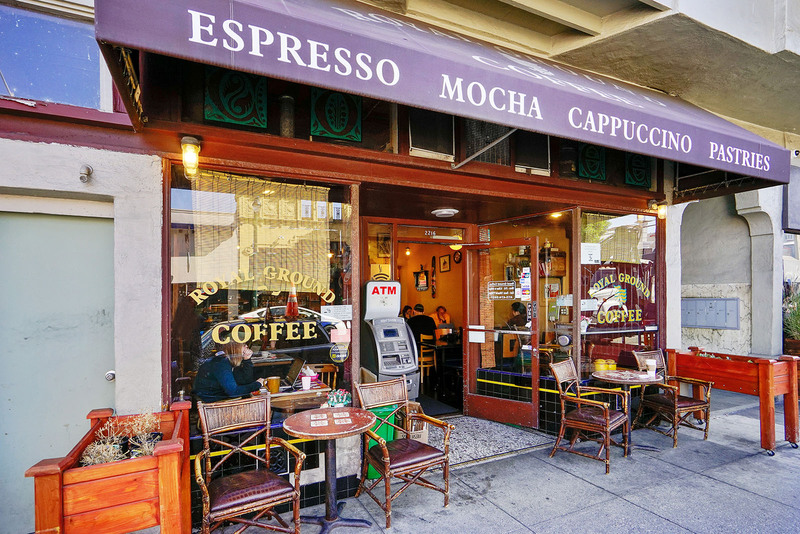 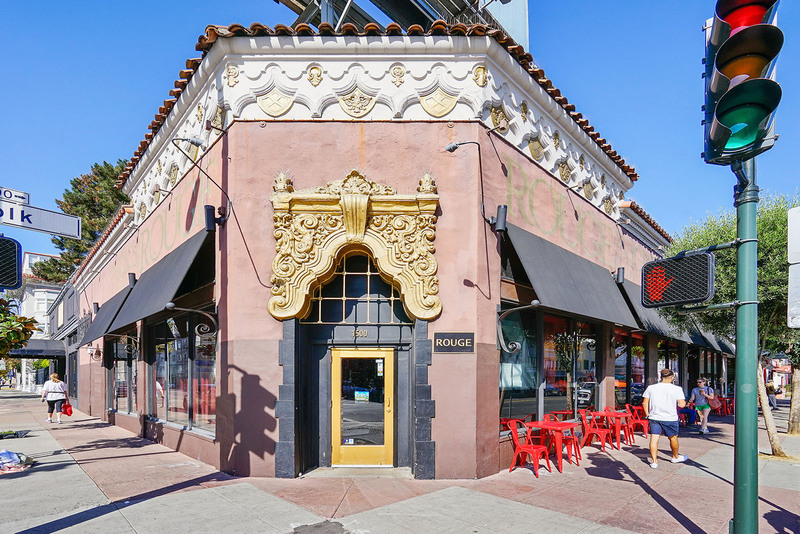 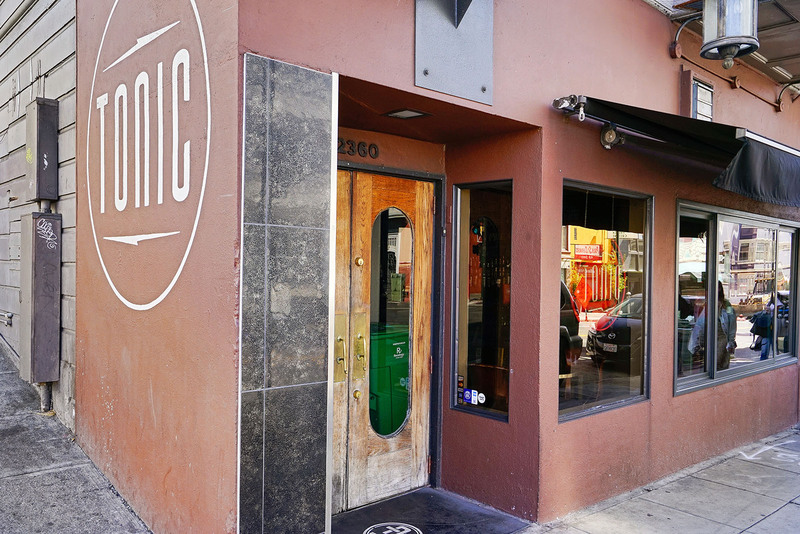 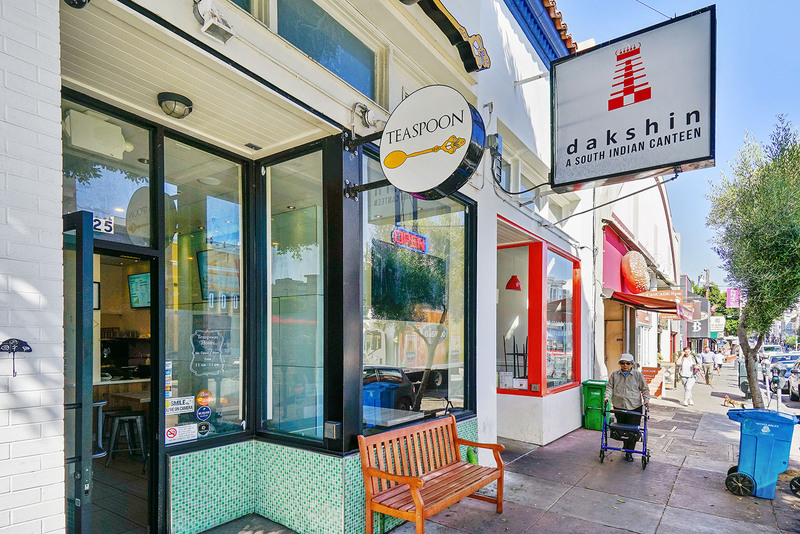 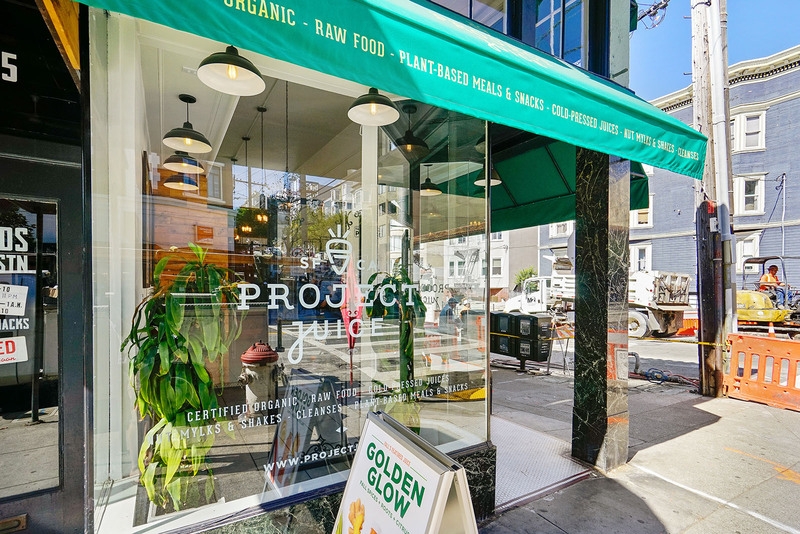 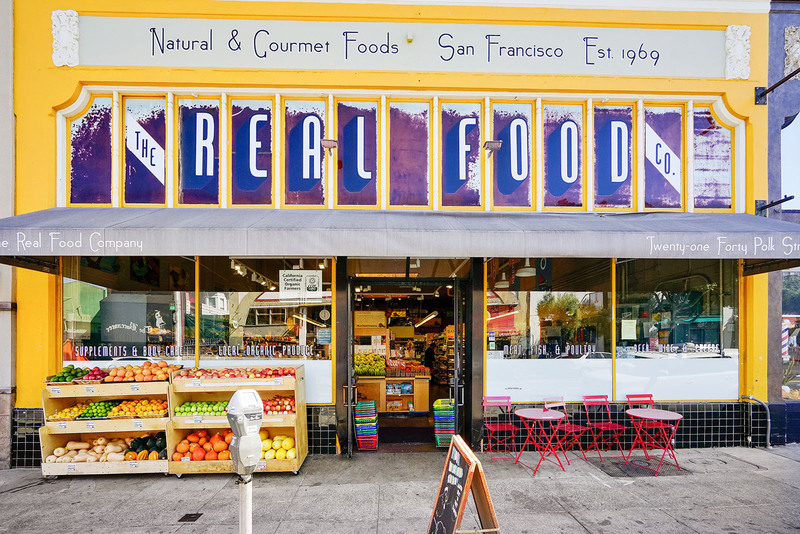 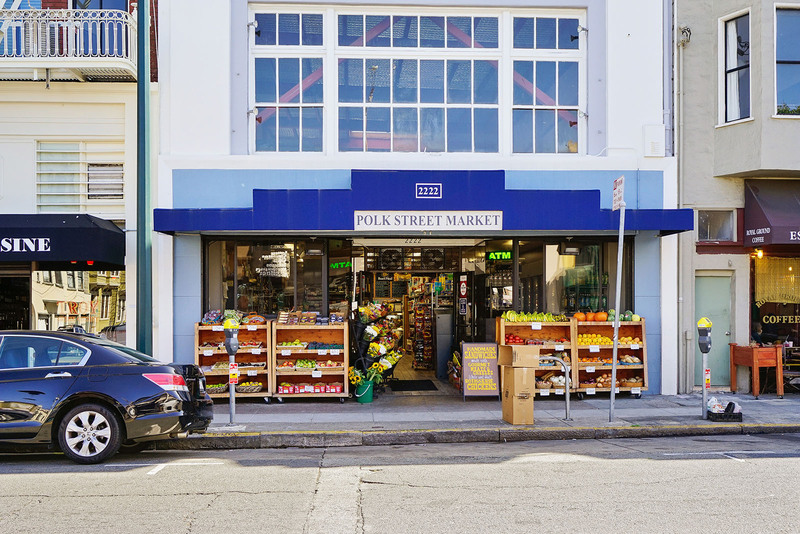 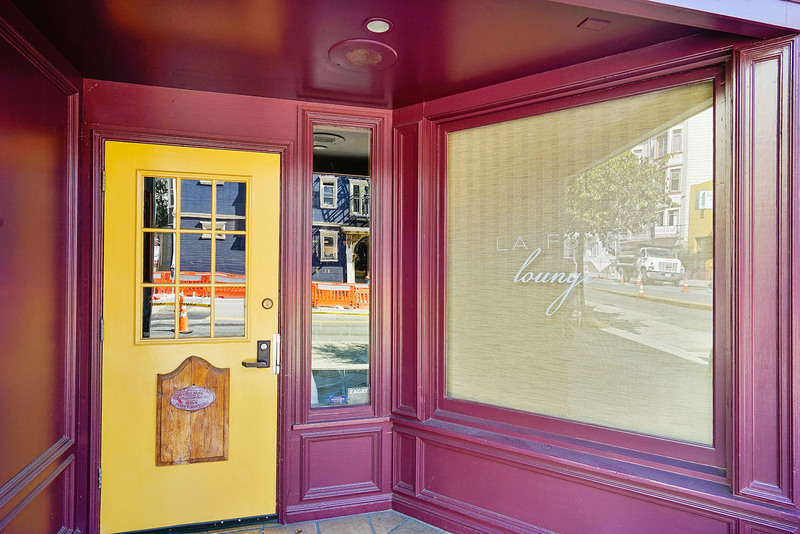 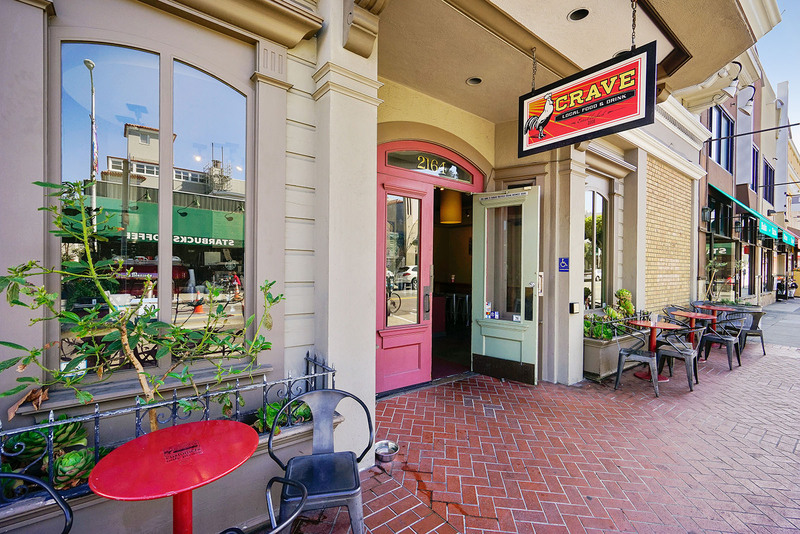 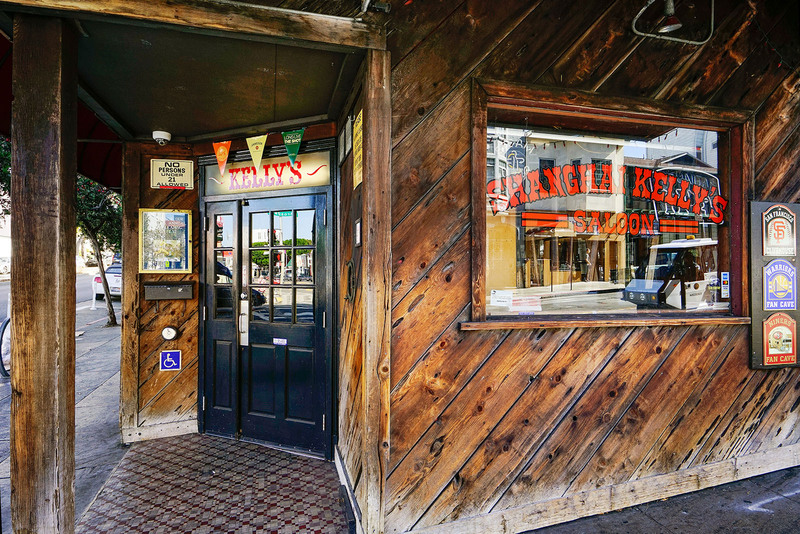 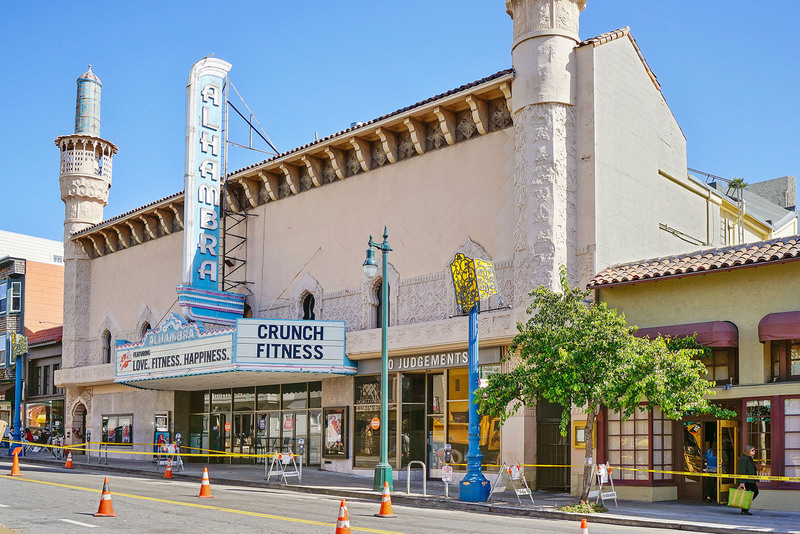 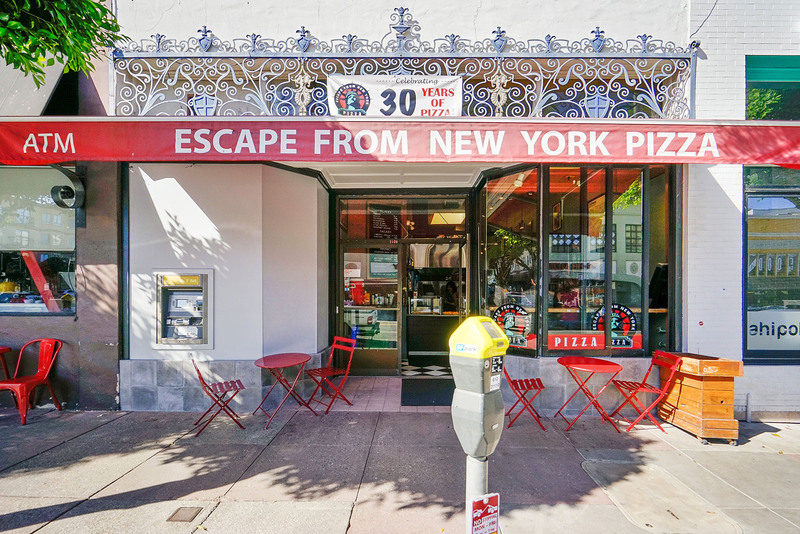 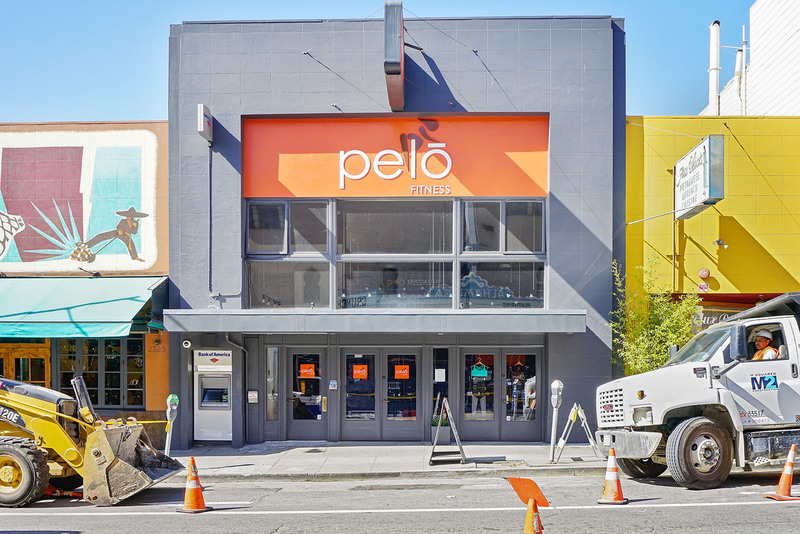 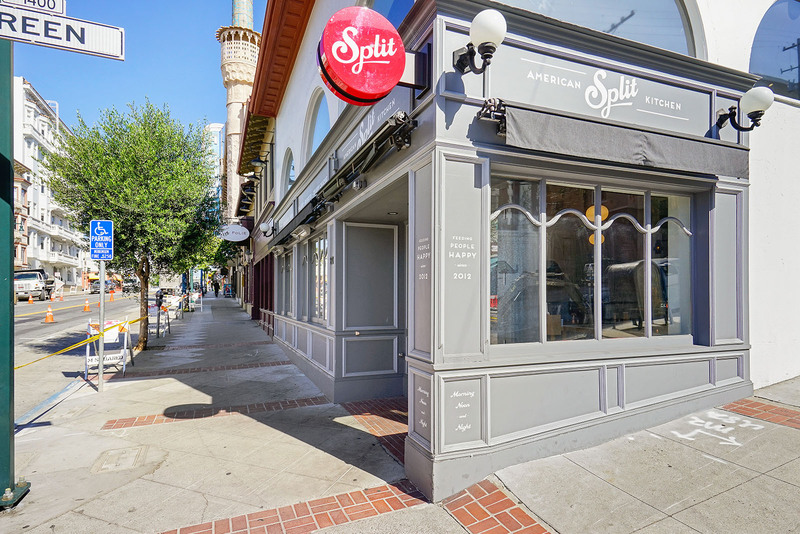 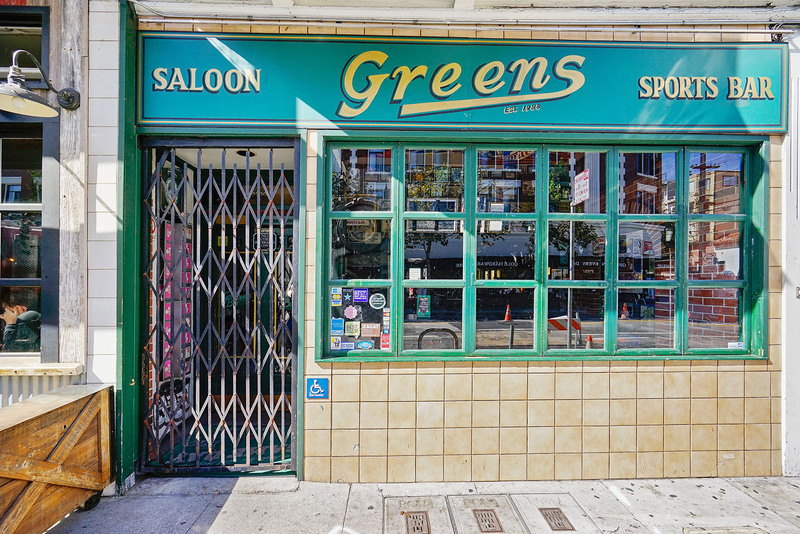 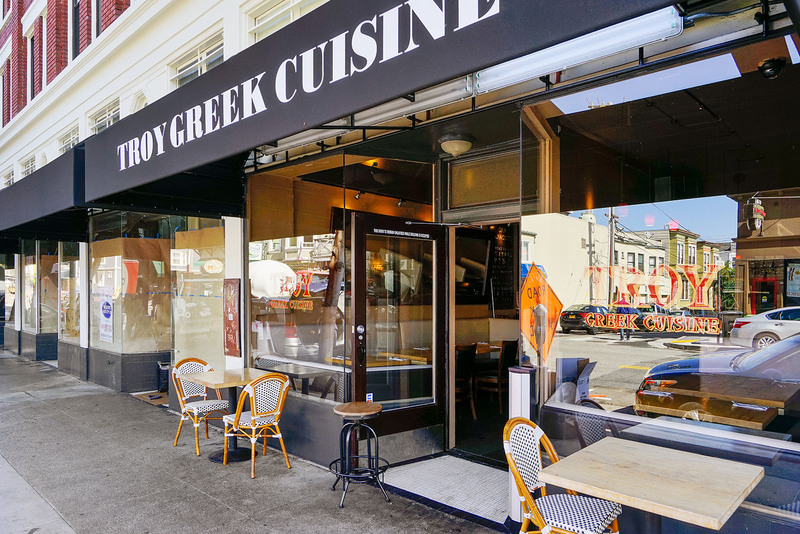 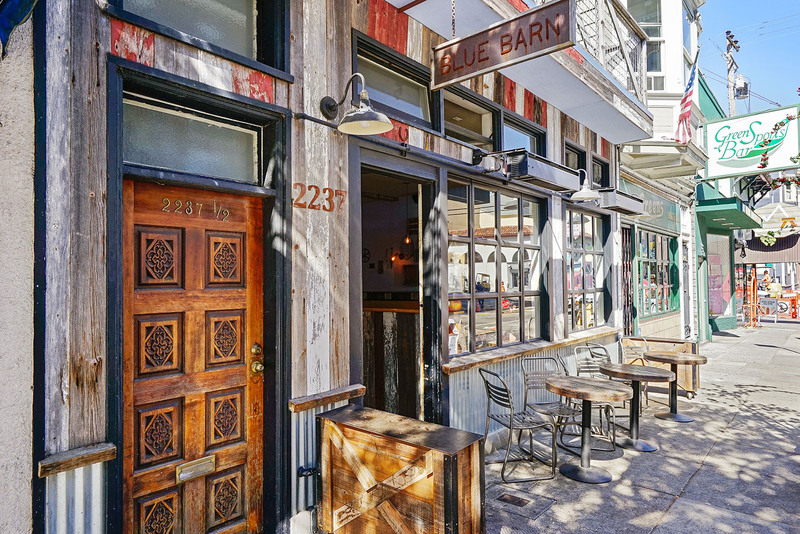 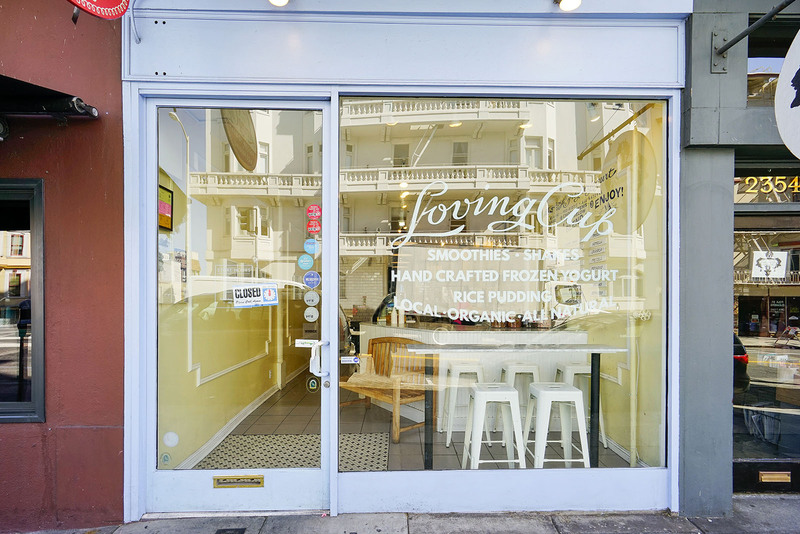 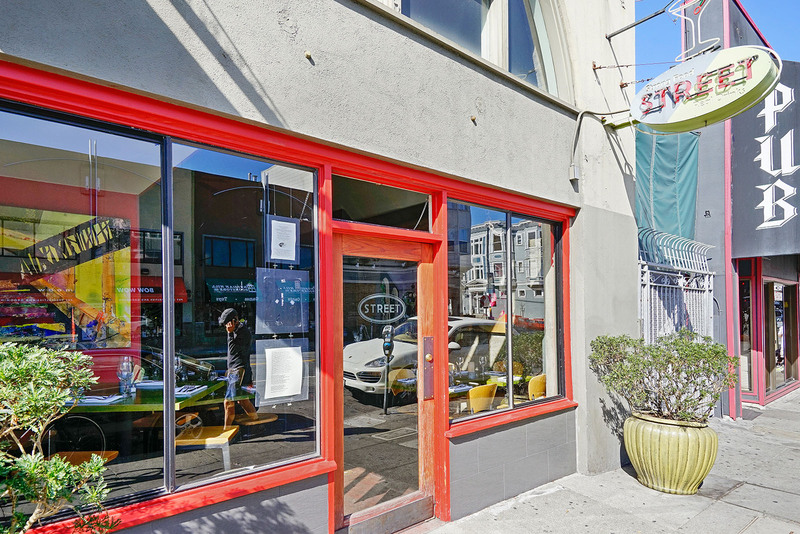 Green and Polk Streets offer exceptional international cuisine from French to Italian to Vietnamese, you can't go wrong in this vibrant stretch of city. 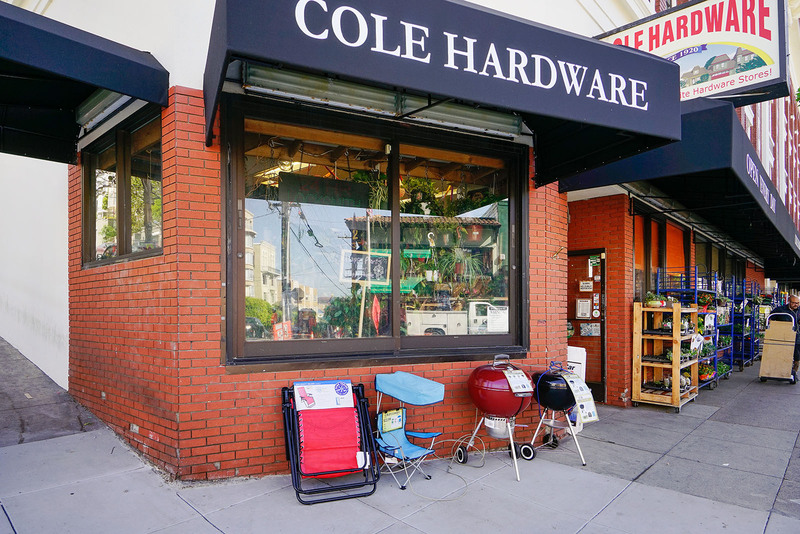 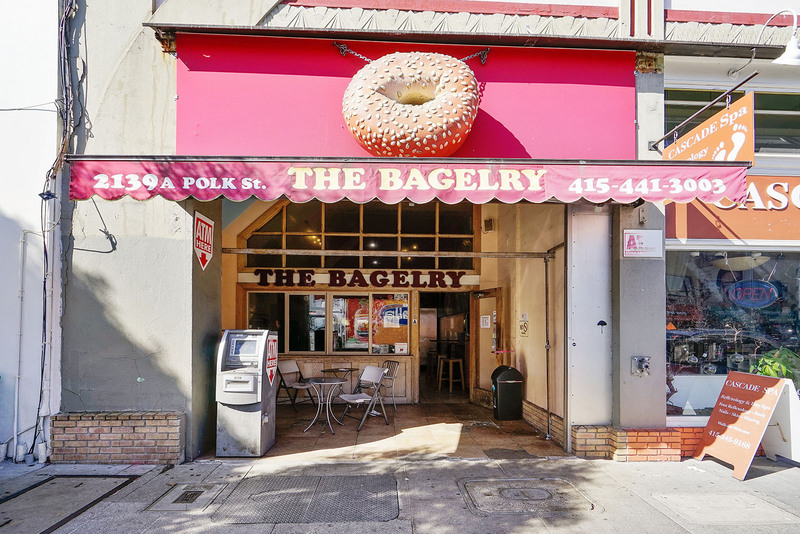 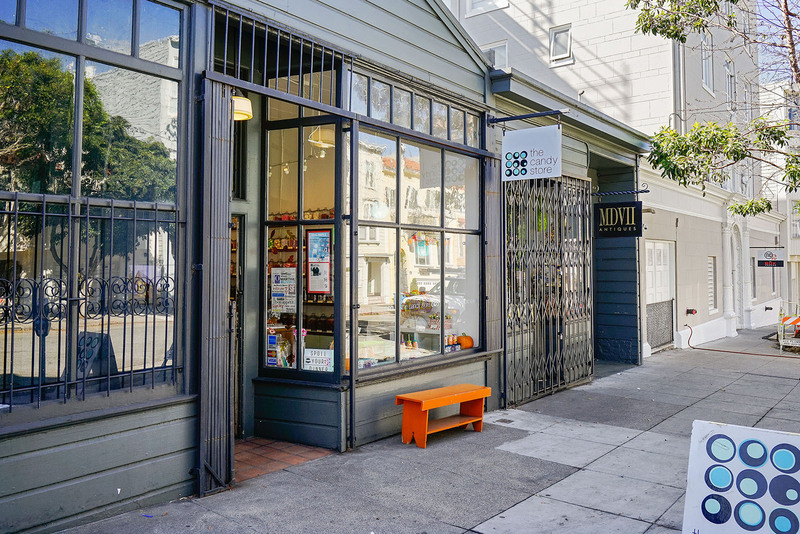 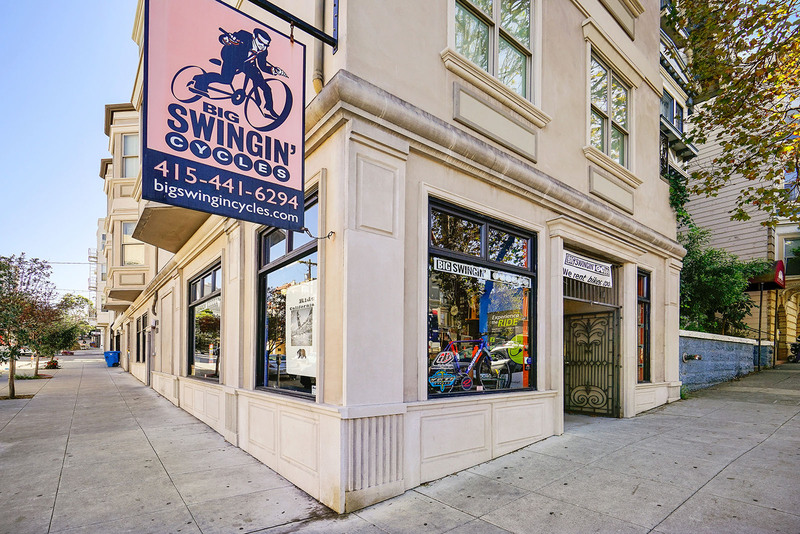 If shopping is on your list, don't miss the many delightful boutiques dotting Polk Street between Union and Broadway. 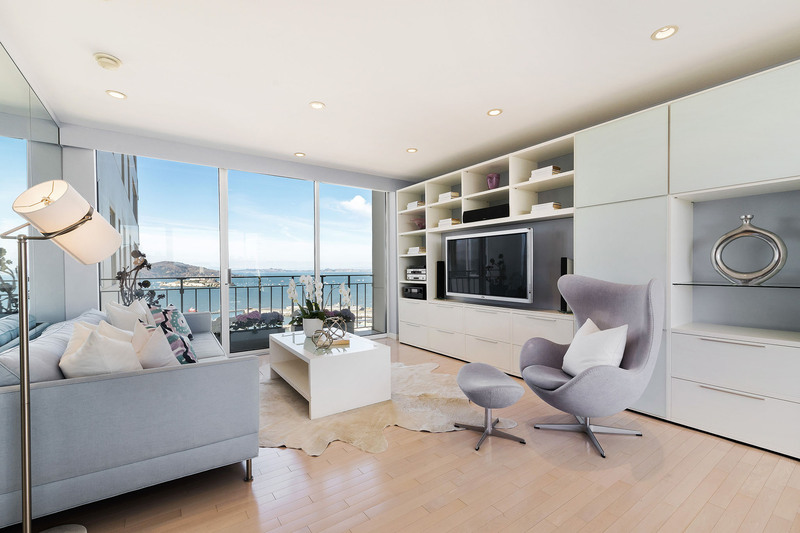 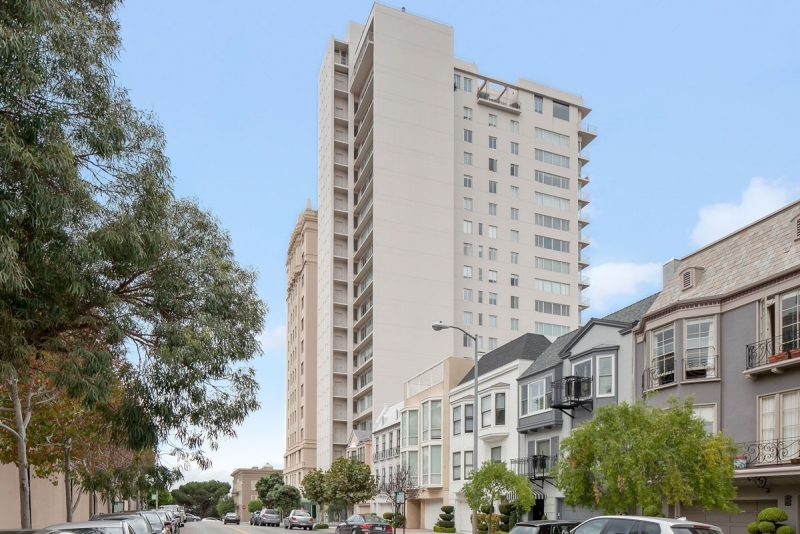 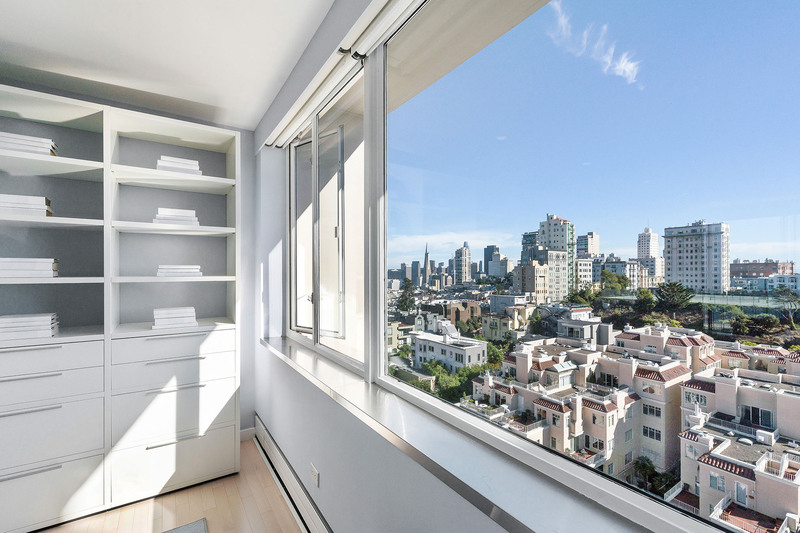 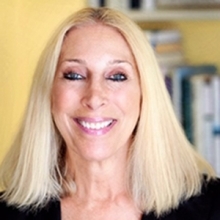 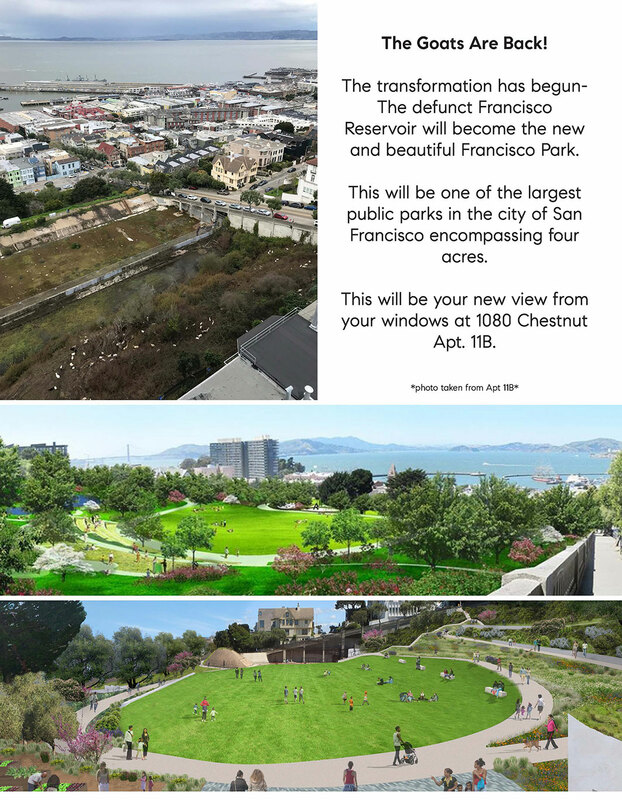 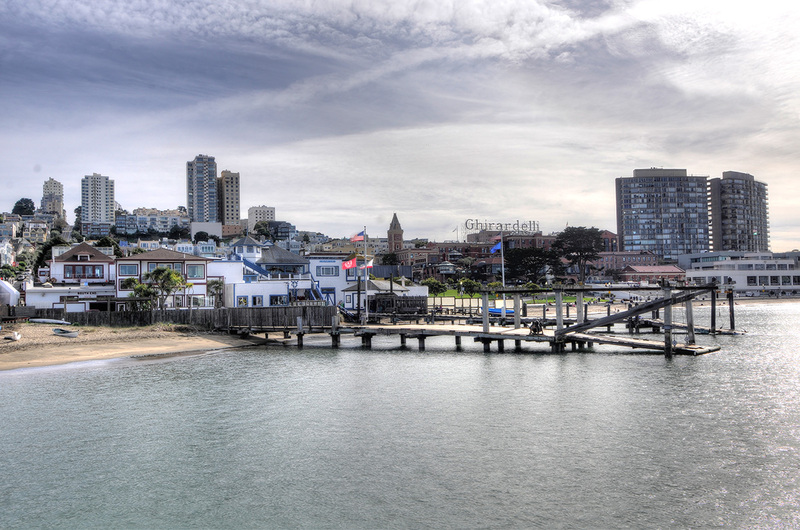 There is a tremendous spread of possibilities when it comes to housing in Russian Hill. 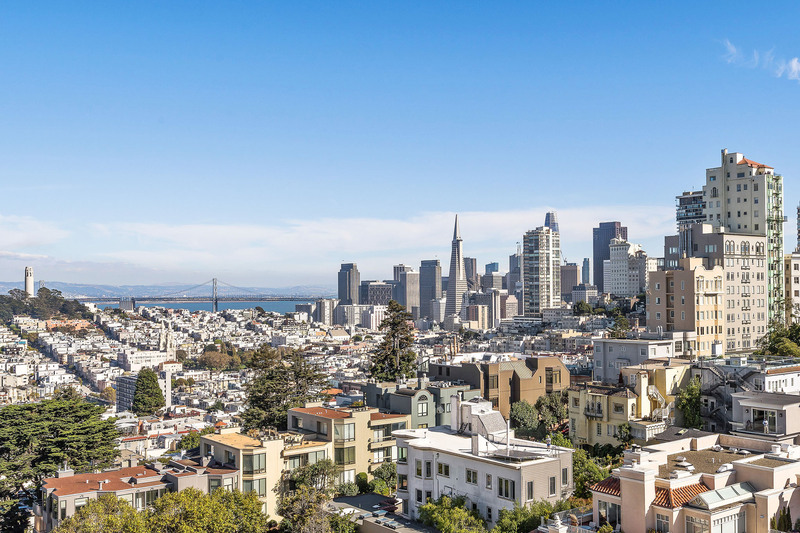 From turn-of-the-century backyard cottages, to lush million-dollar homes, to hilltop town houses and condos with mind-blowing Bay views - there is something for all sensibilities. 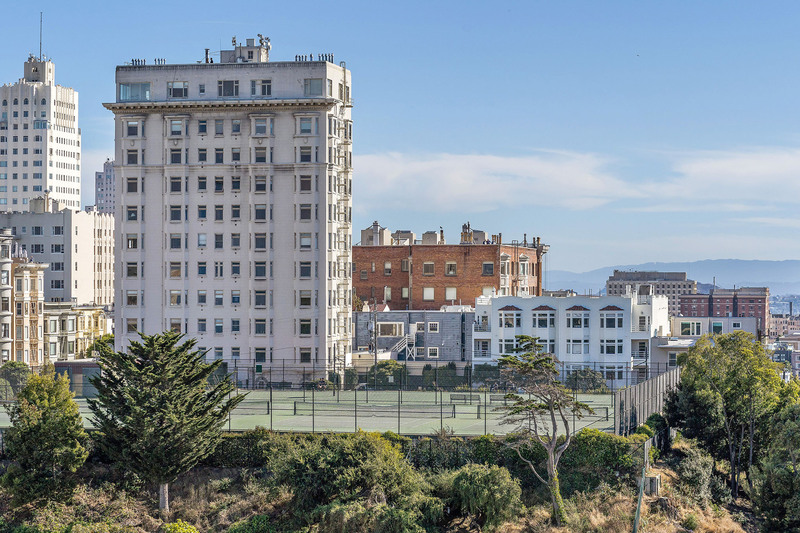 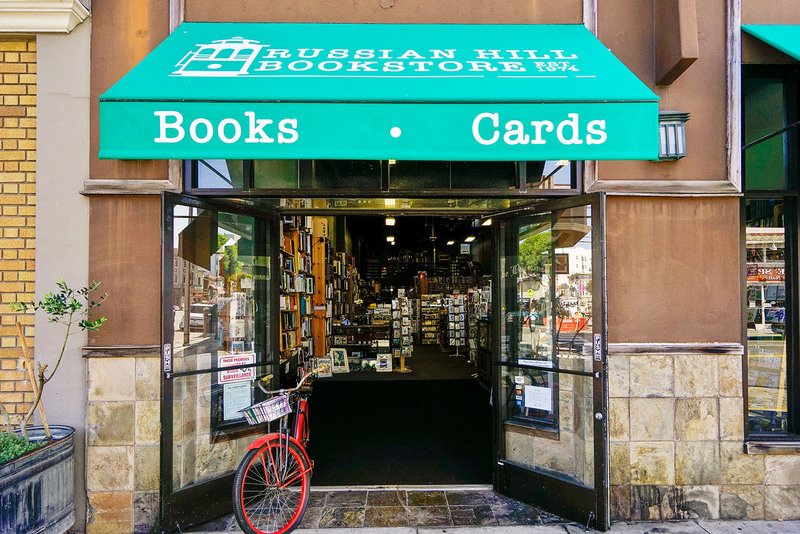 The architectural influences in Russian Hill reach back to classic form - from Spanish Colonial, to Mission Revival, to Italianate, and Arts and Crafts, and beyond. 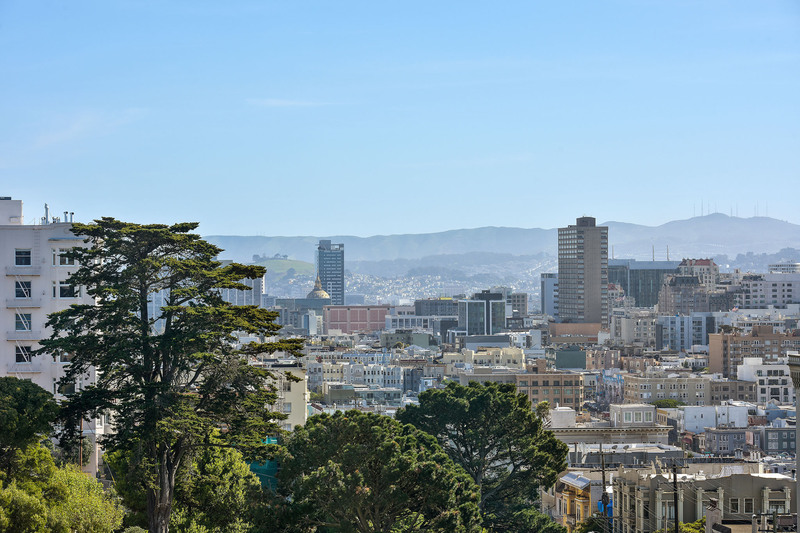 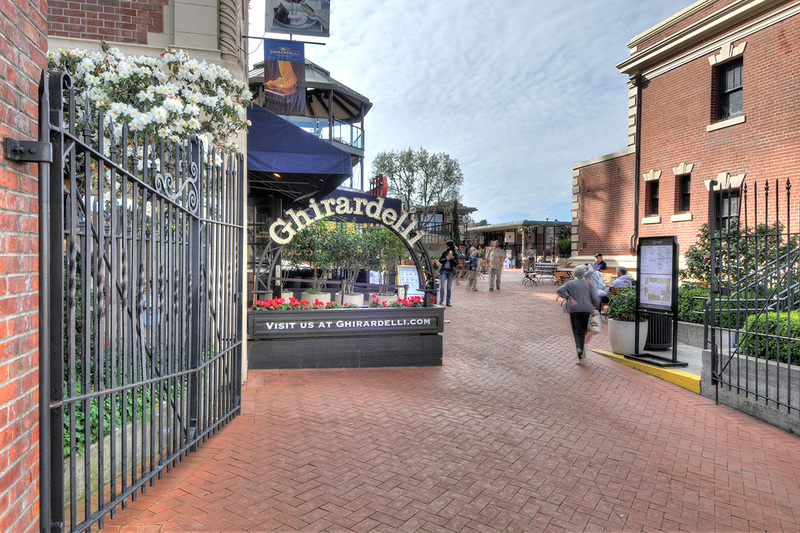 Russian Hill remains a very walkable urban landscape despite its hilly tendency. 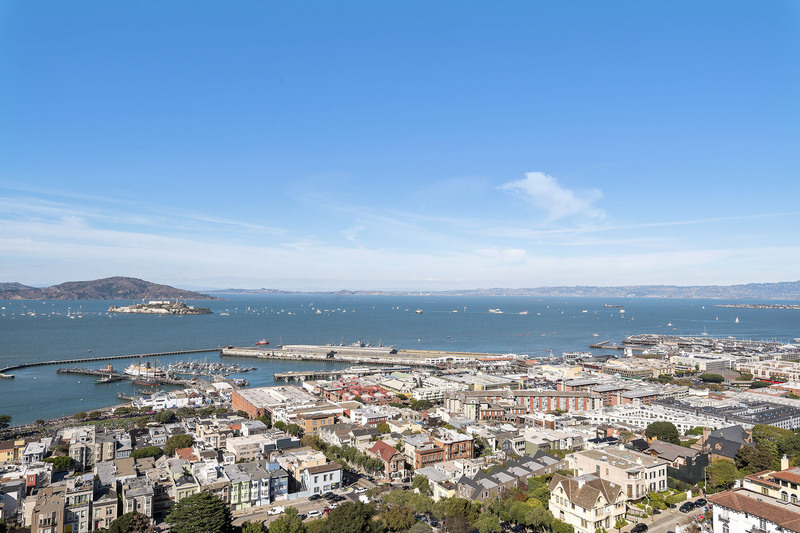 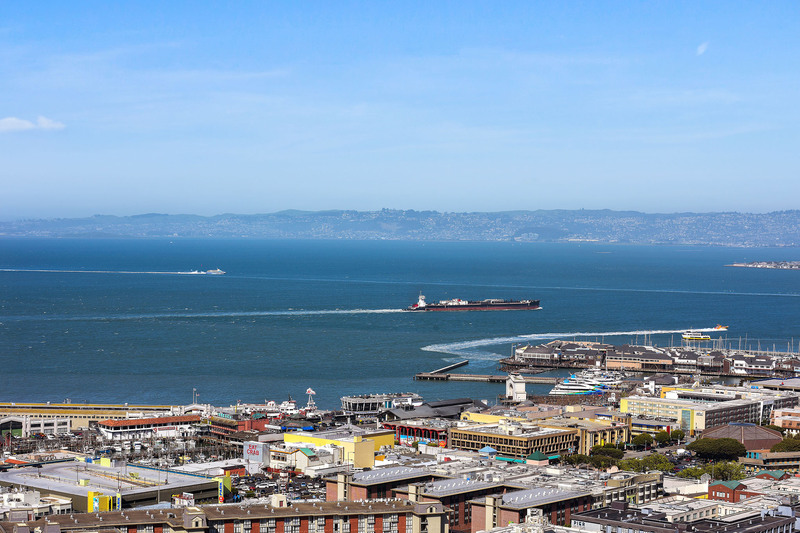 The Financial District and Civic Center are easily within reach. 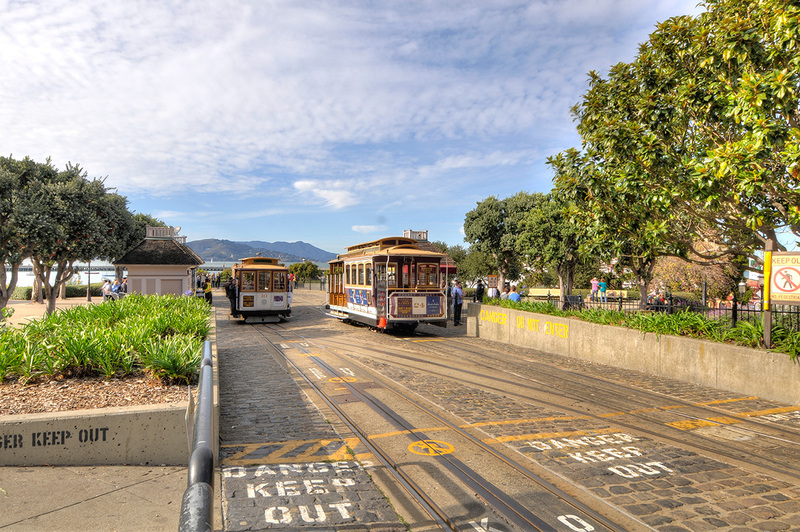 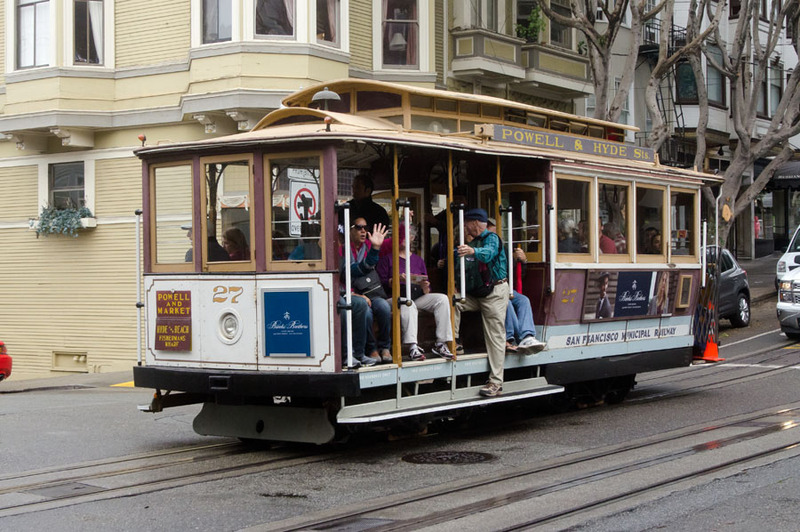 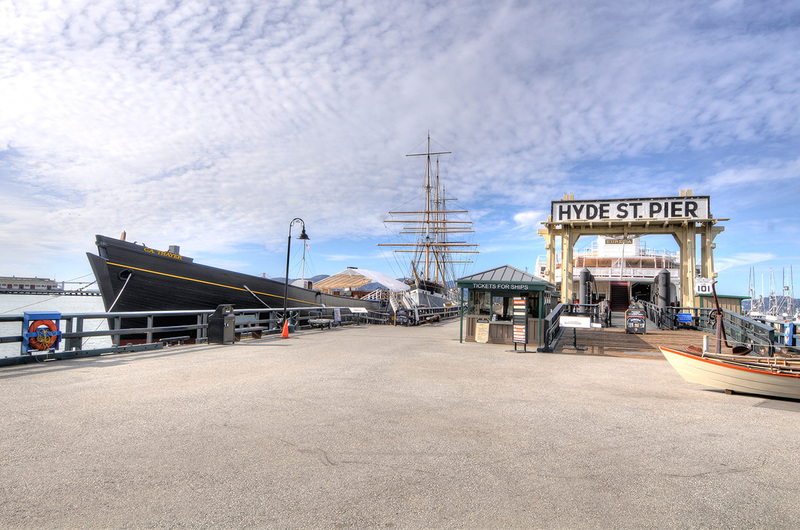 And if your smart you'll occasionally ride the cable car home, on a monthly pass from SFMUNI.